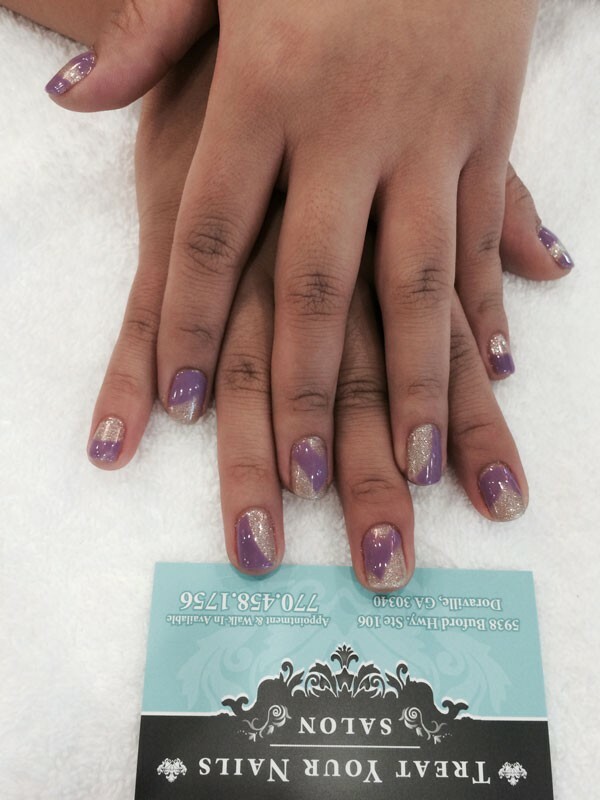 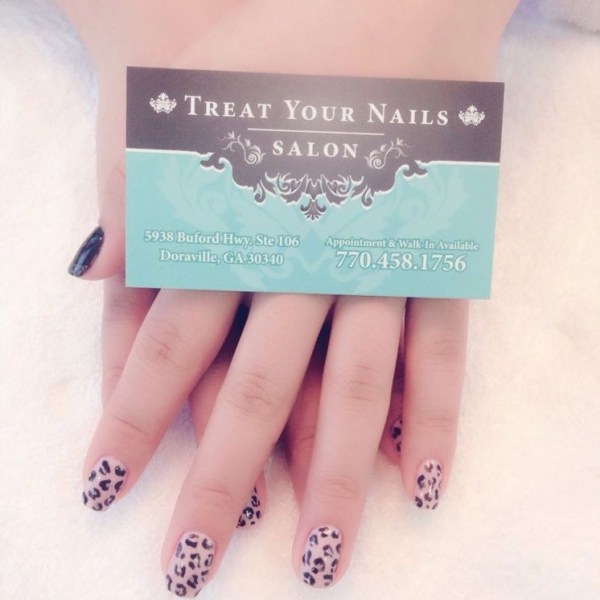 Whether you are looking for a basic manicure or the ultimate hand treatment, we can accommodate your every need. 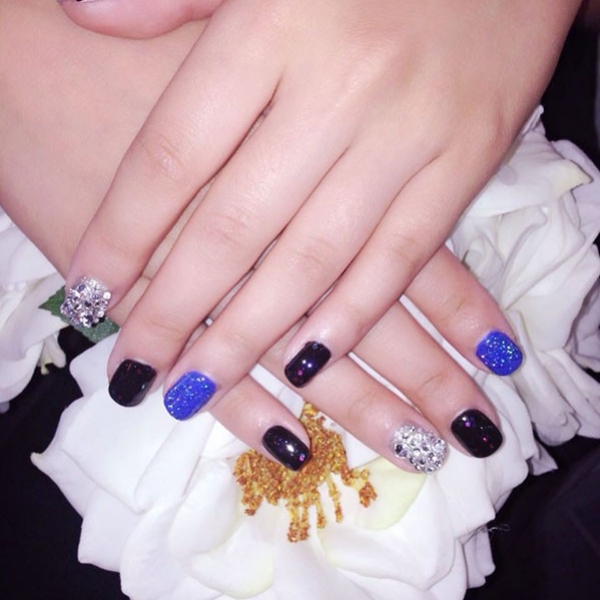 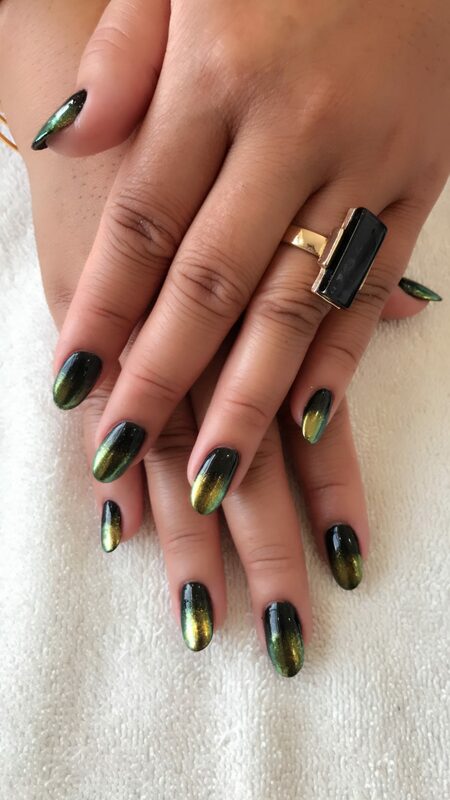 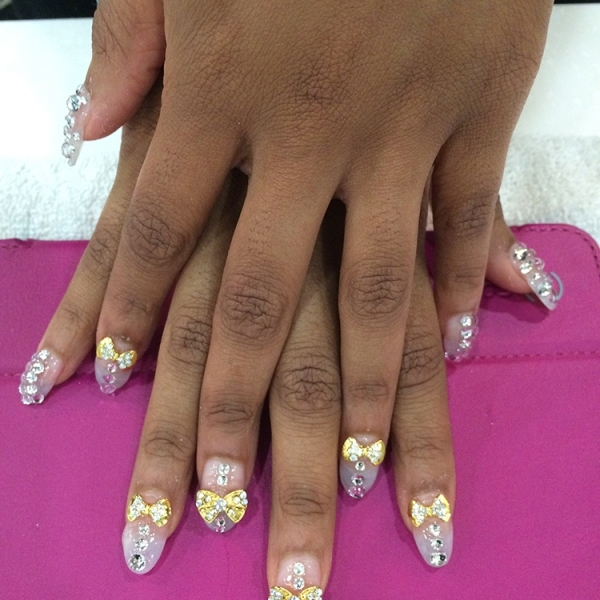 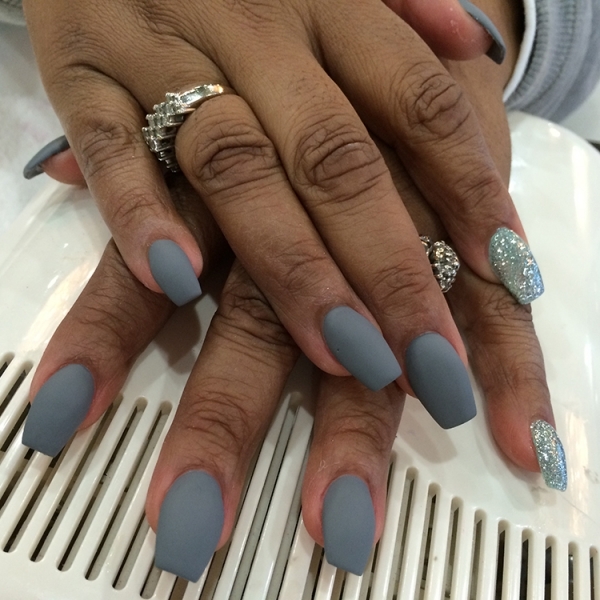 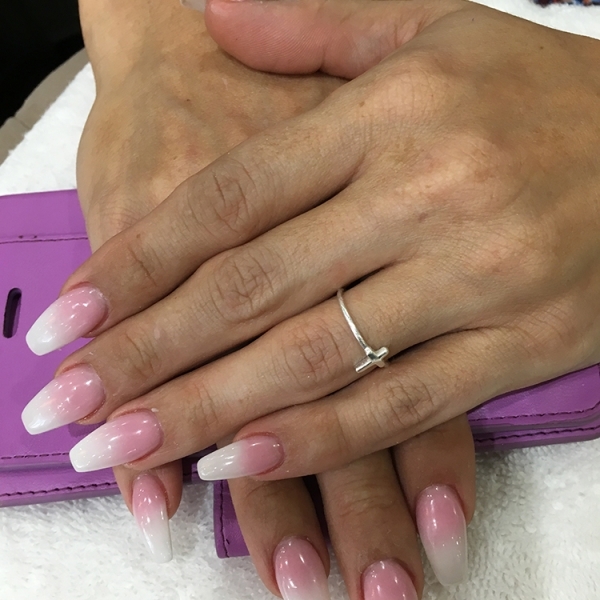 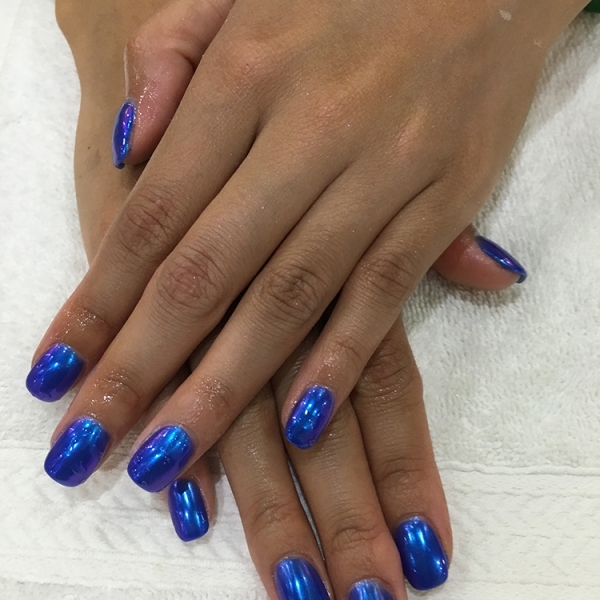 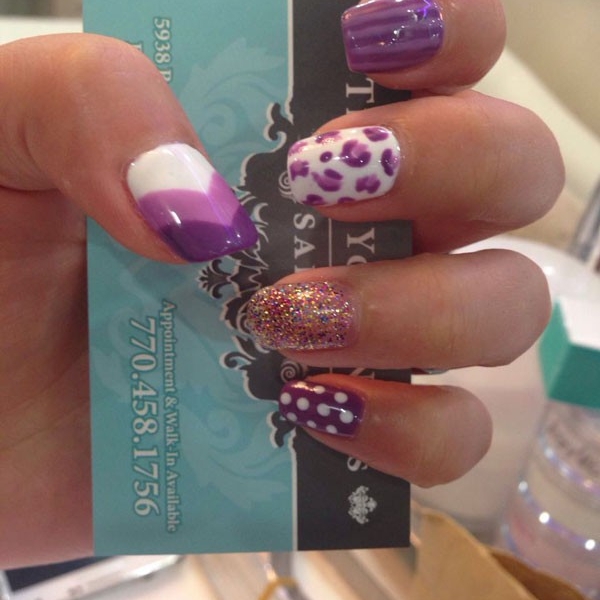 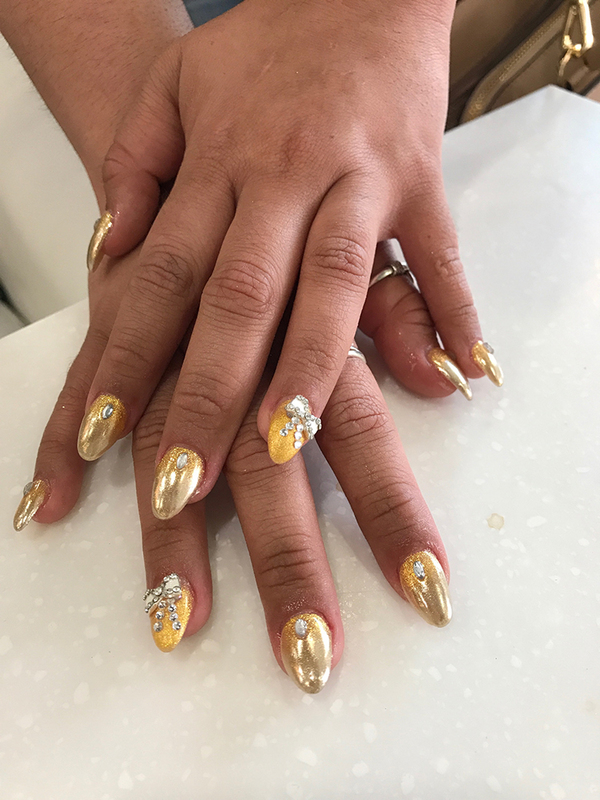 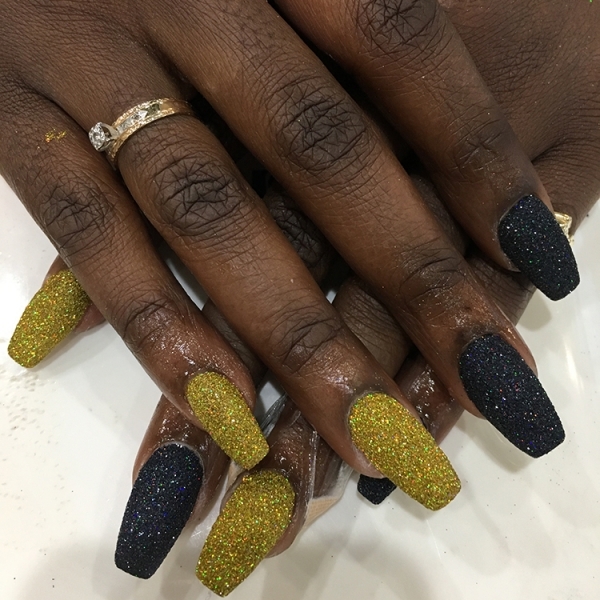 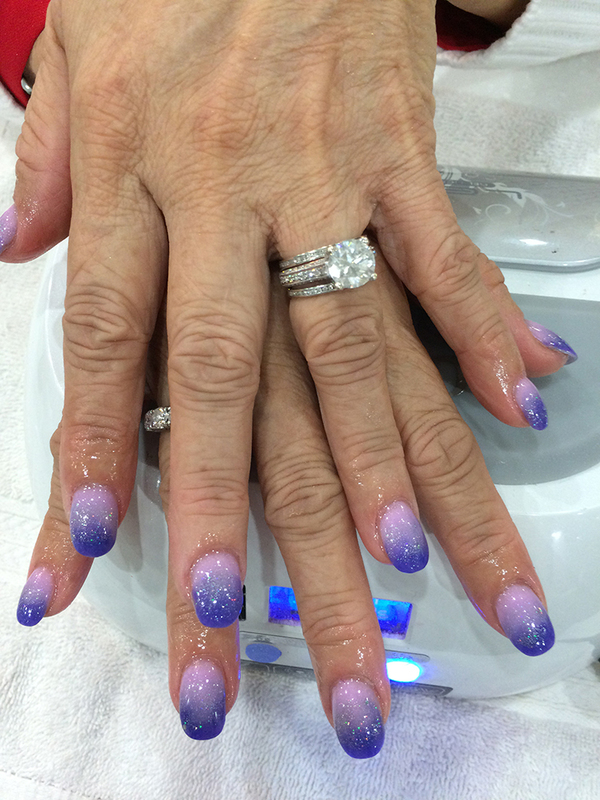 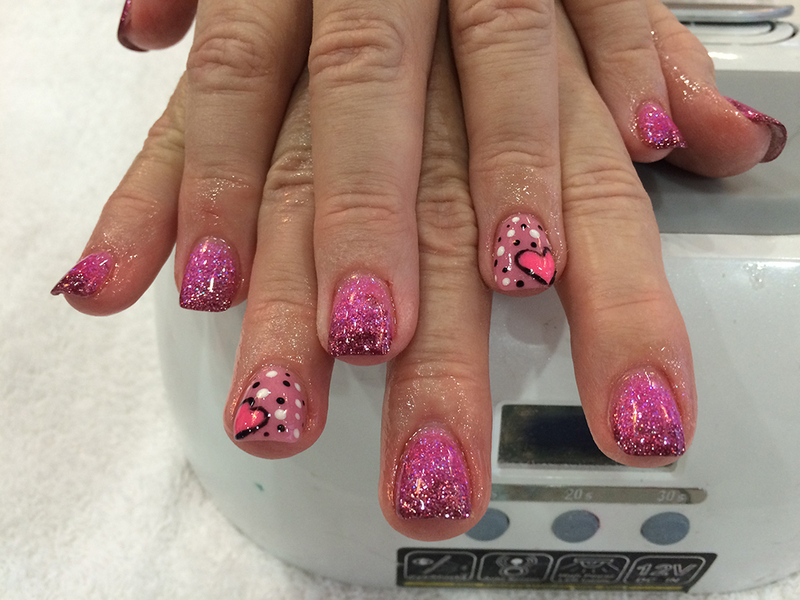 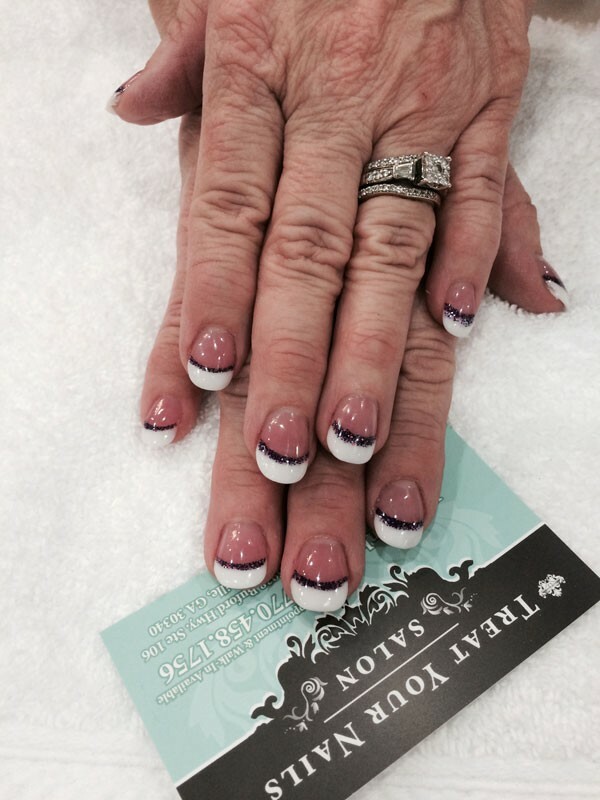 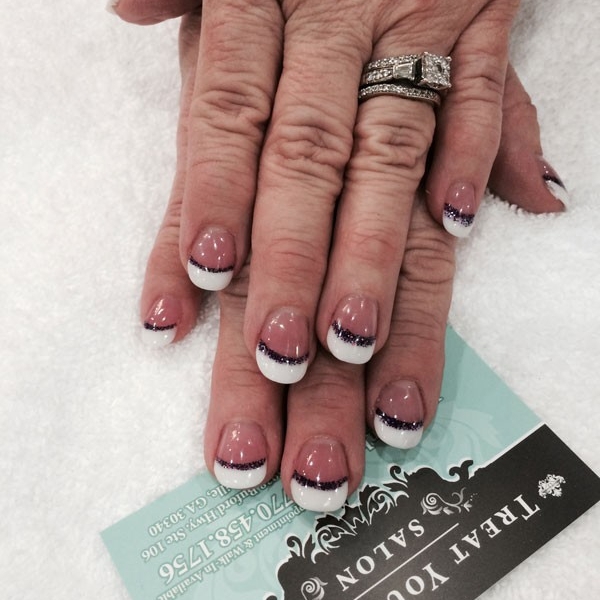 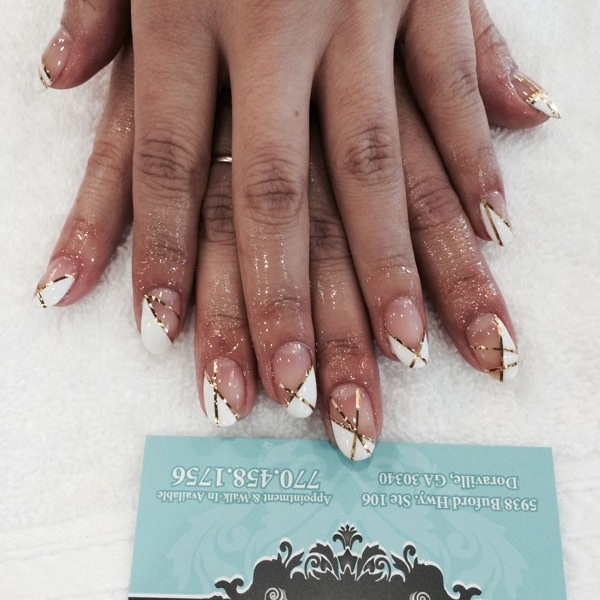 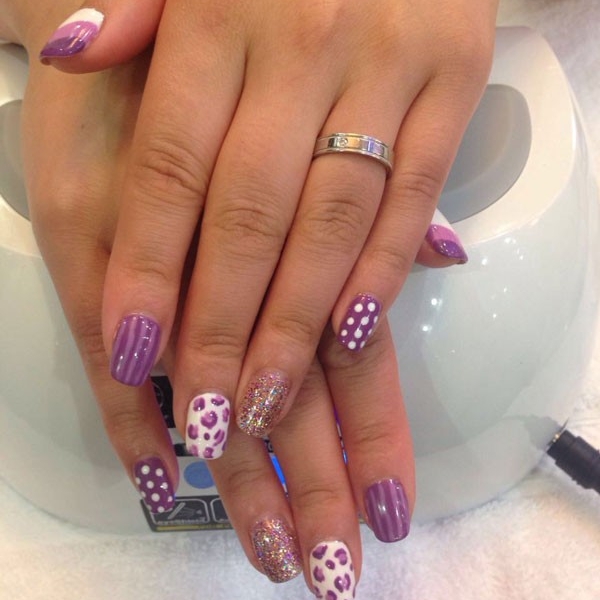 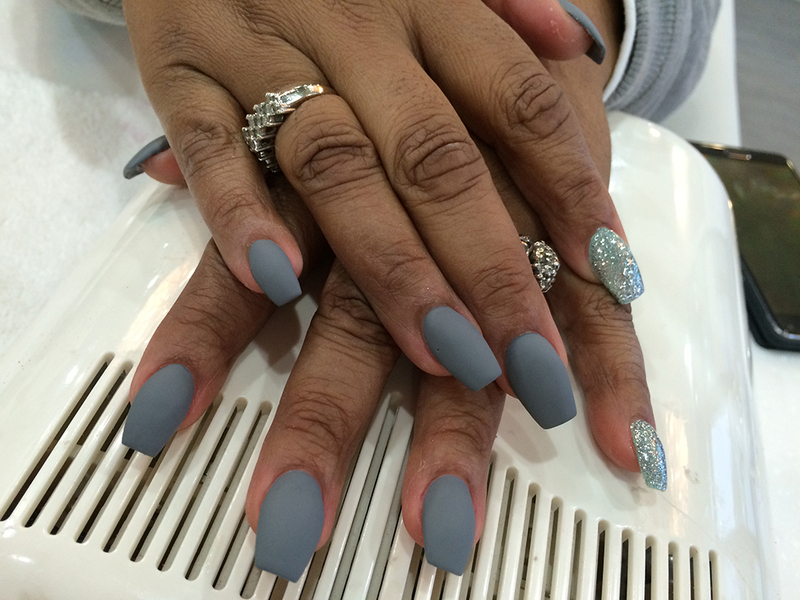 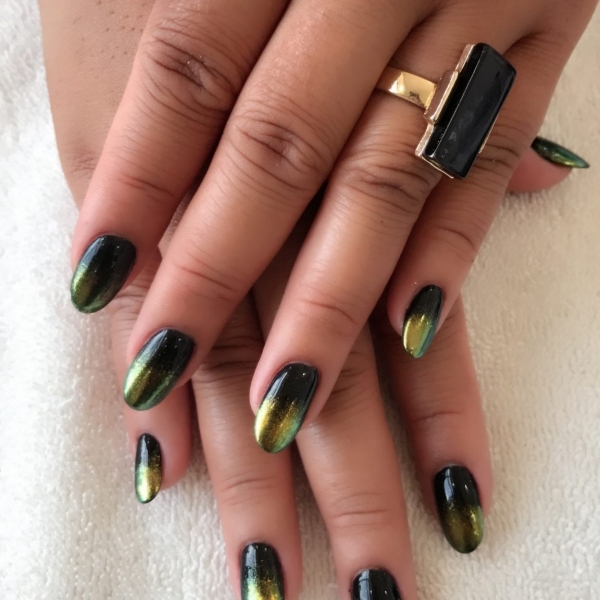 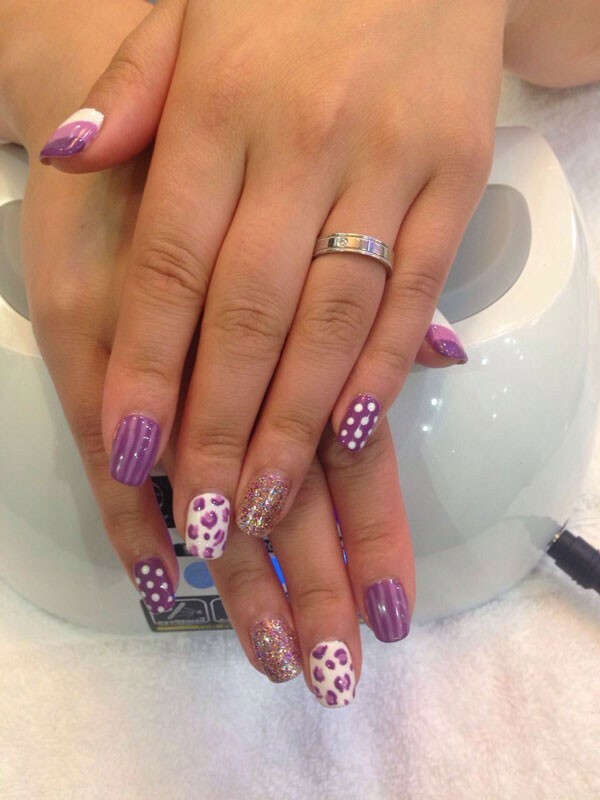 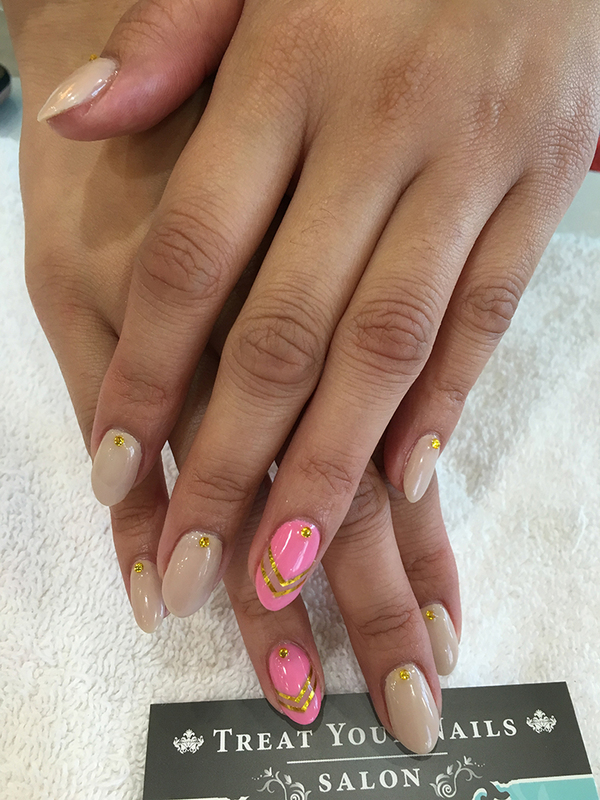 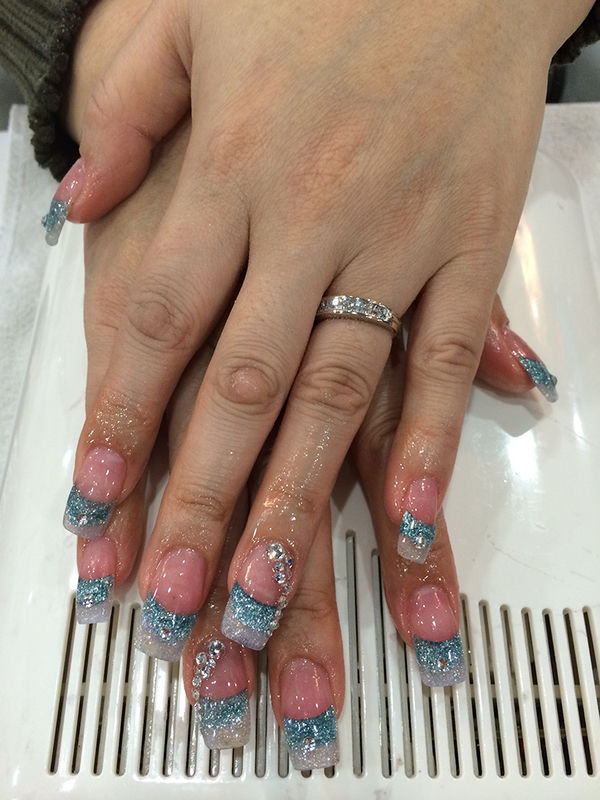 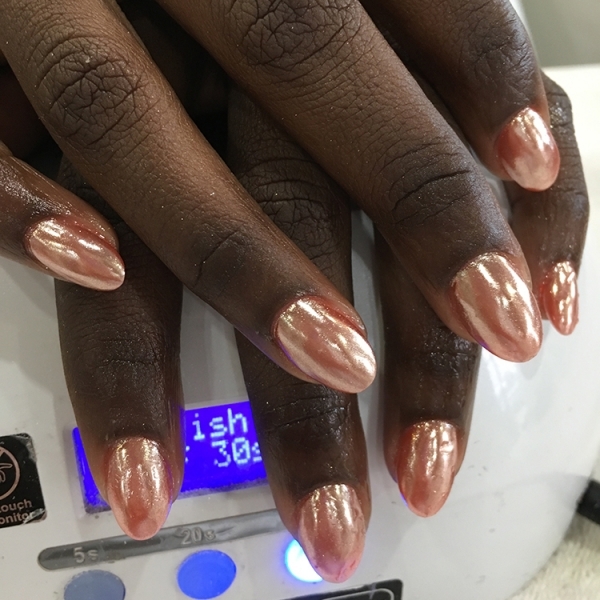 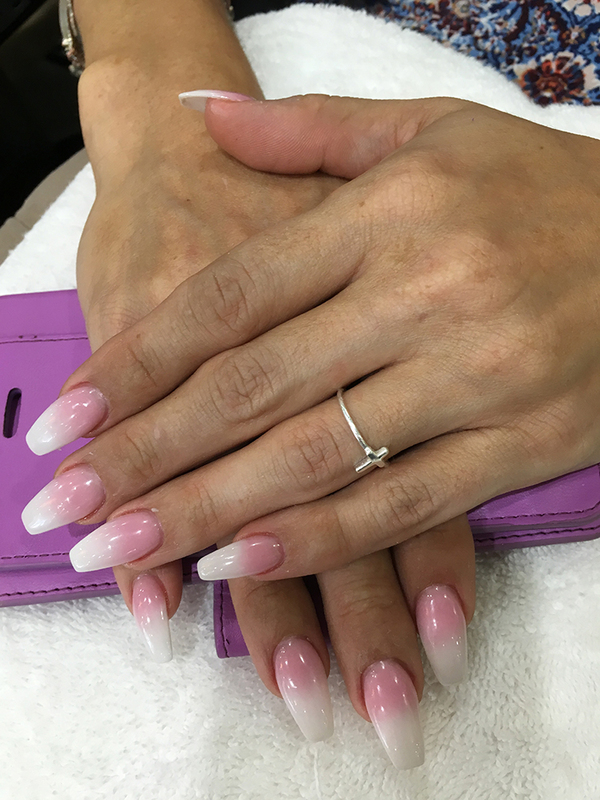 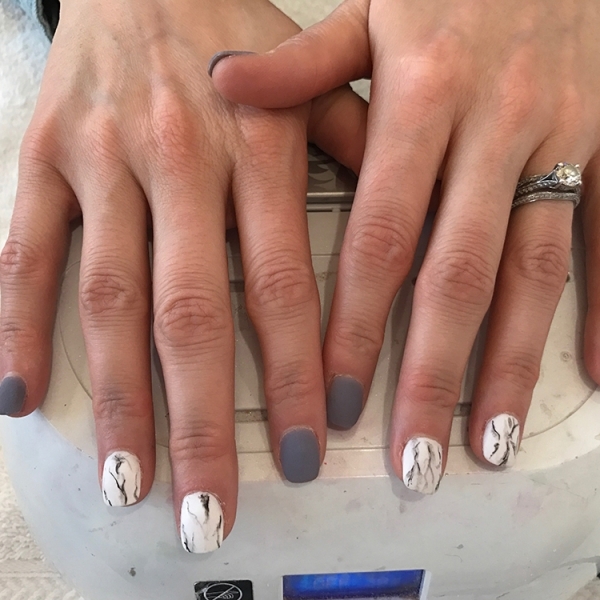 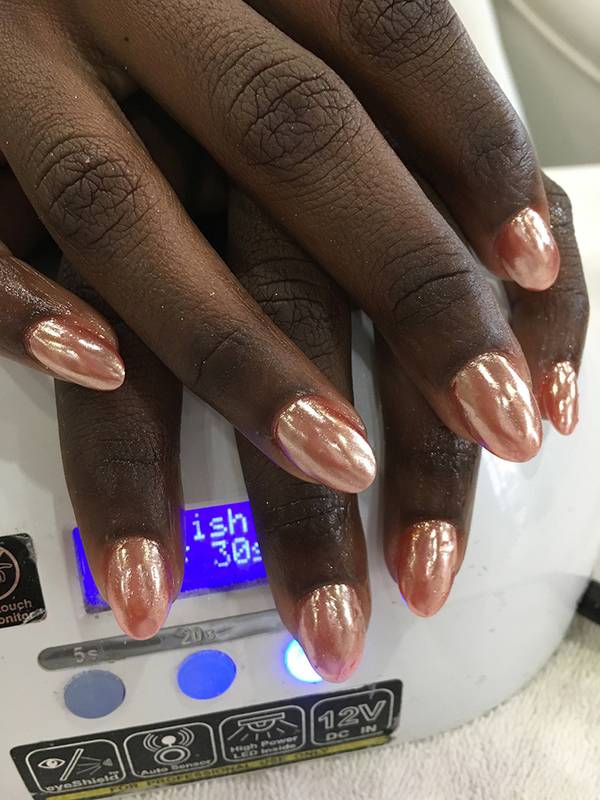 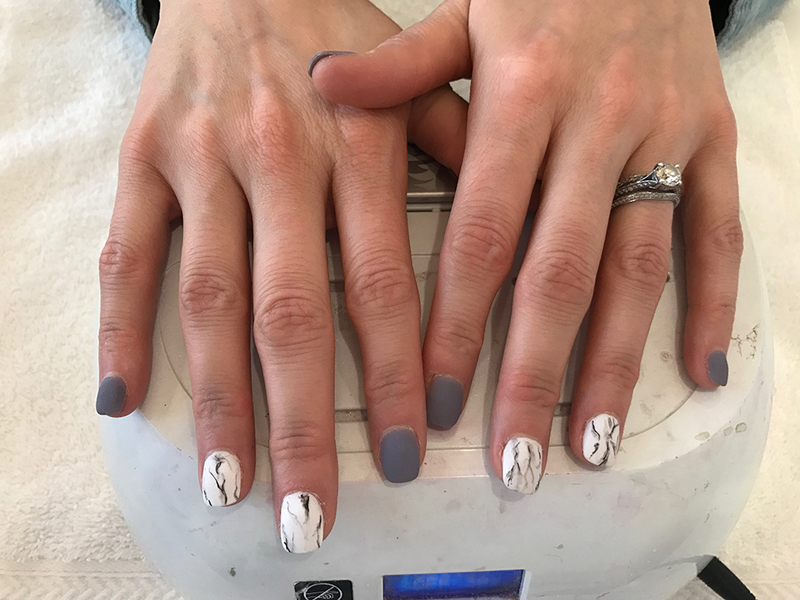 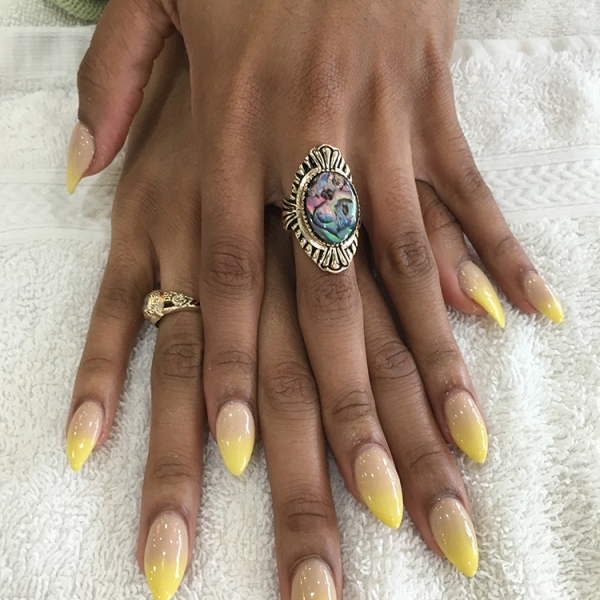 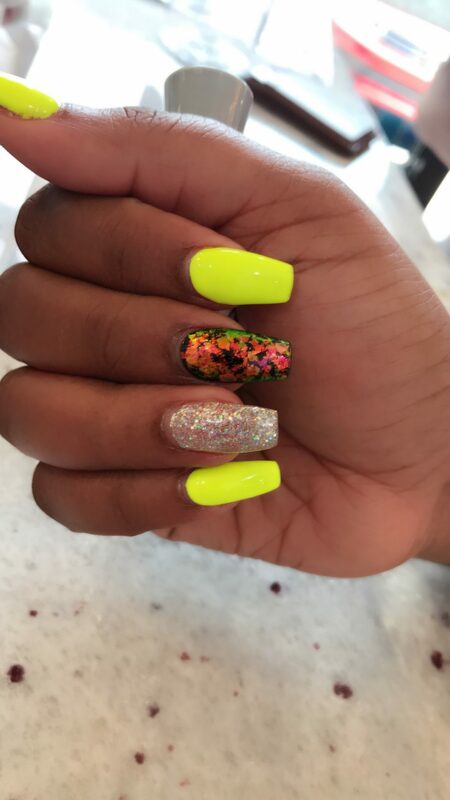 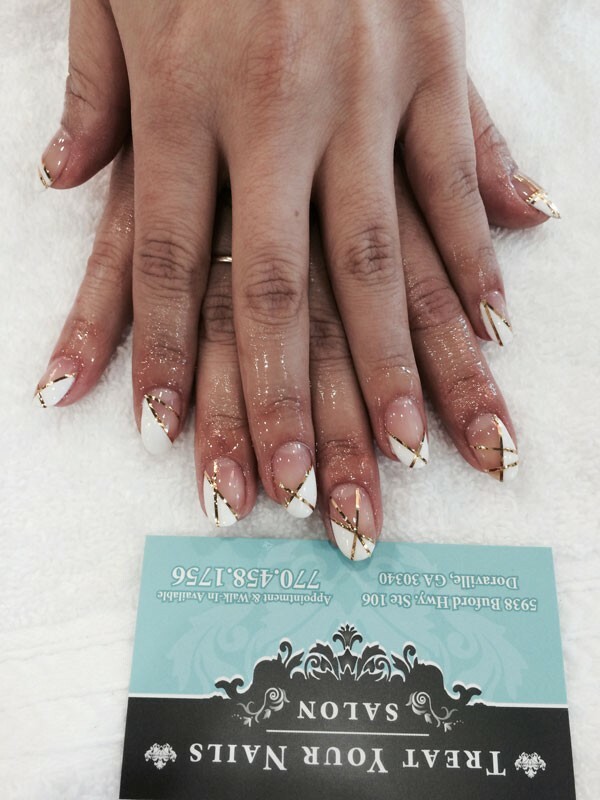 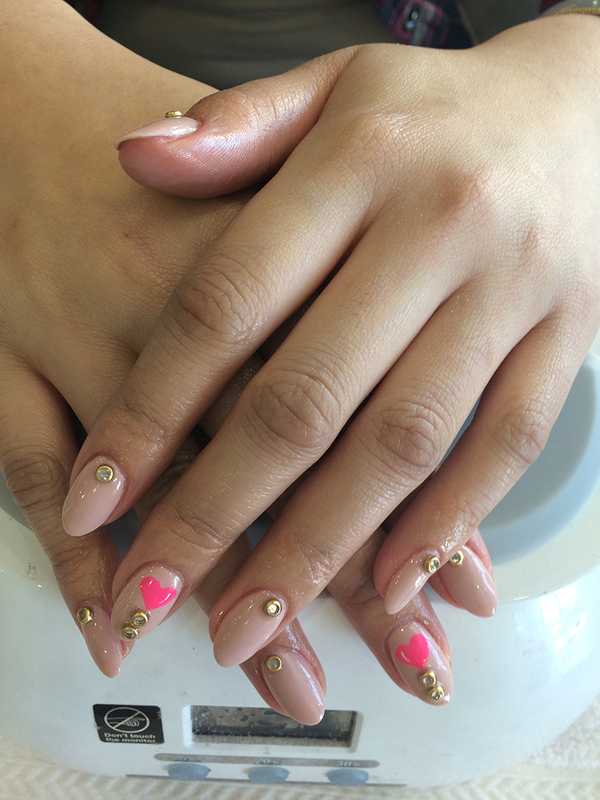 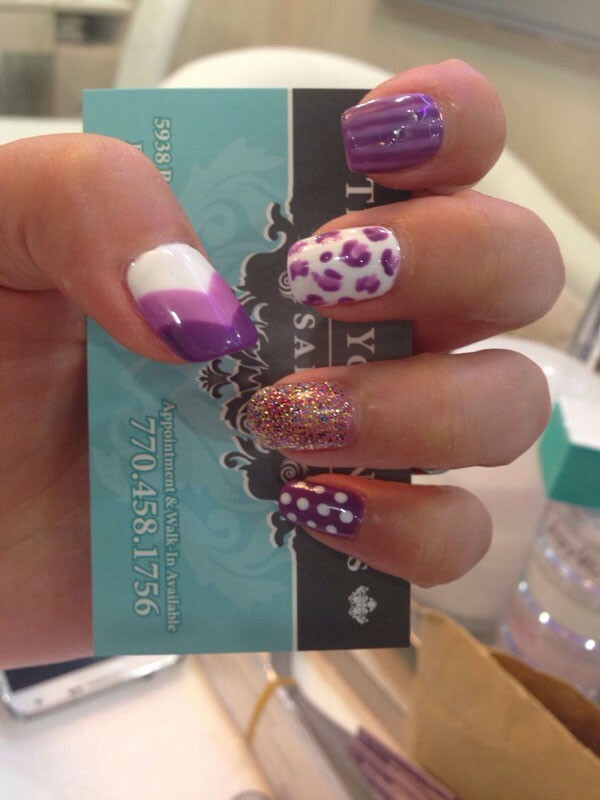 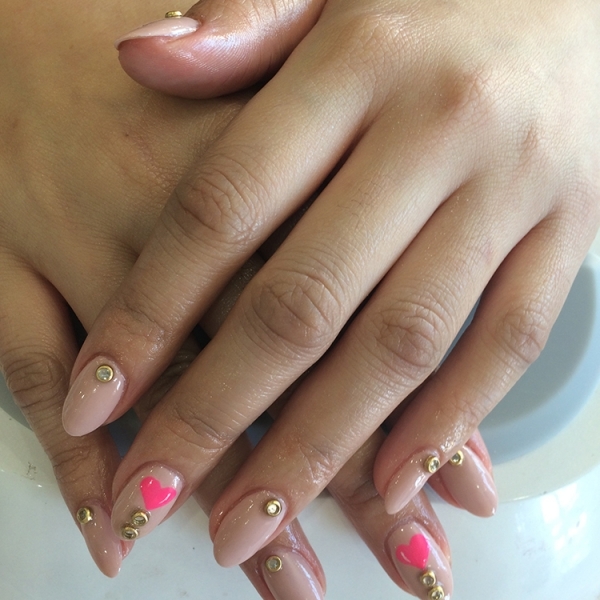 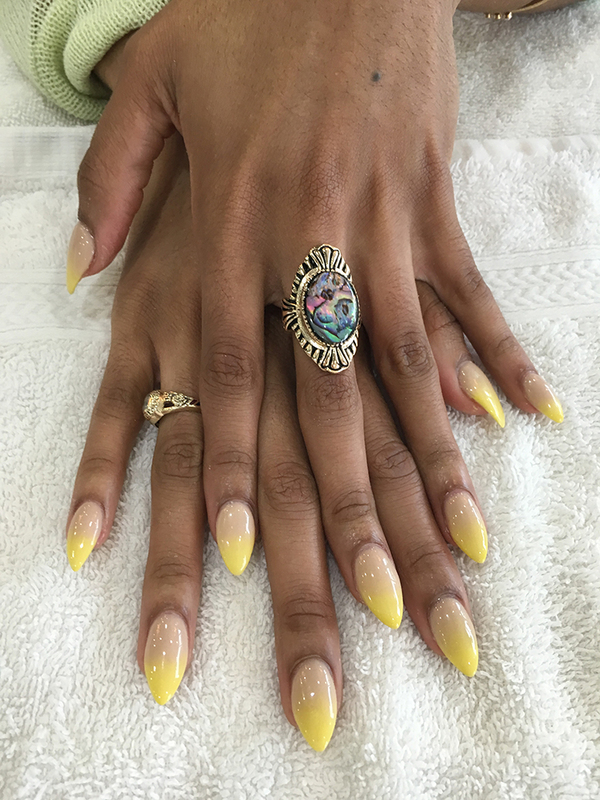 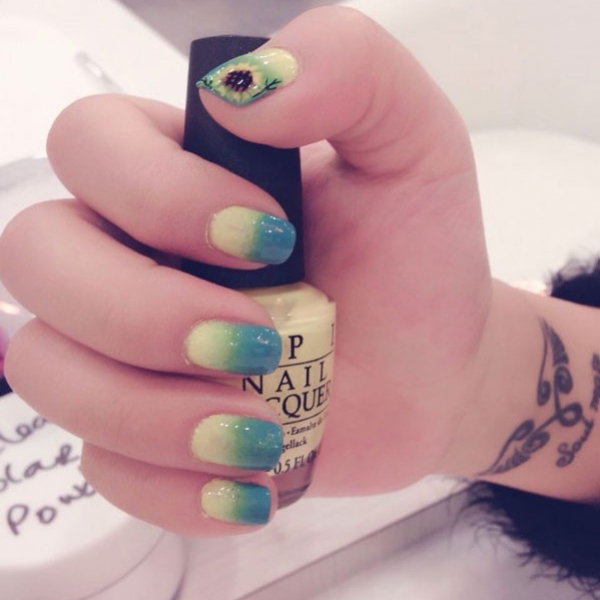 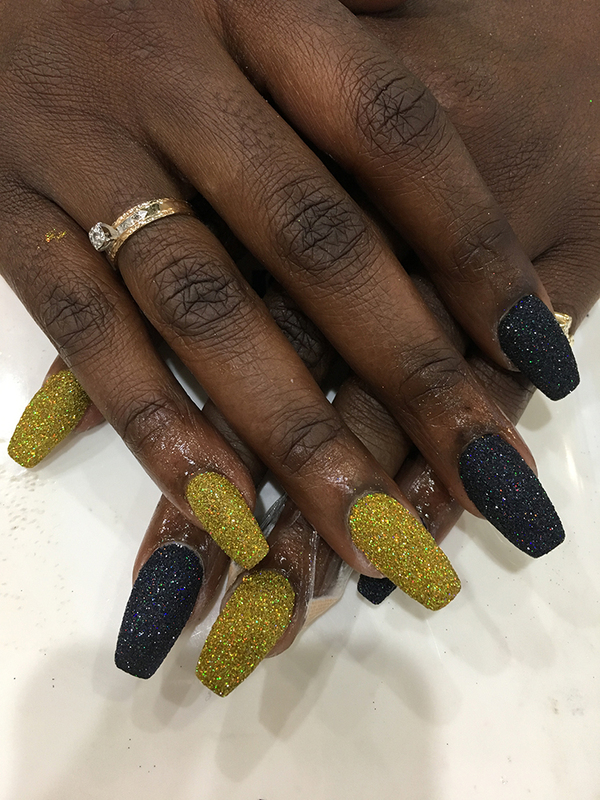 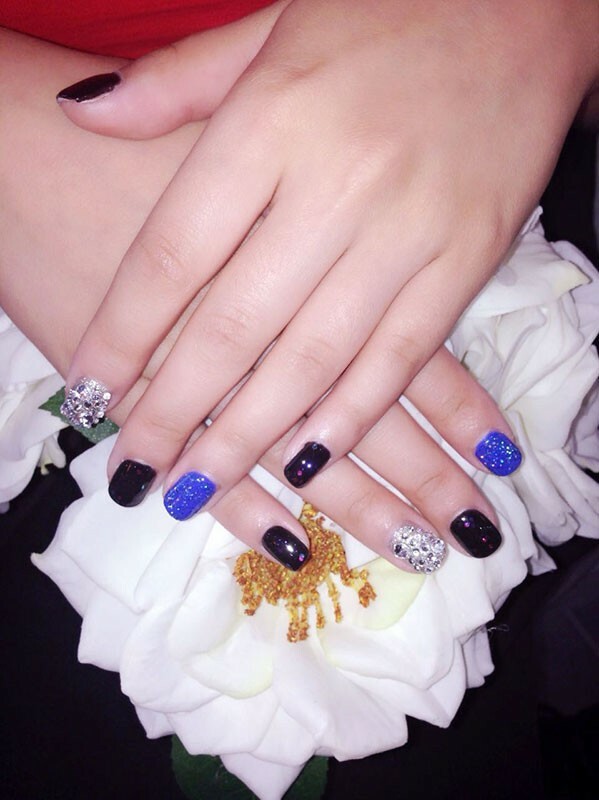 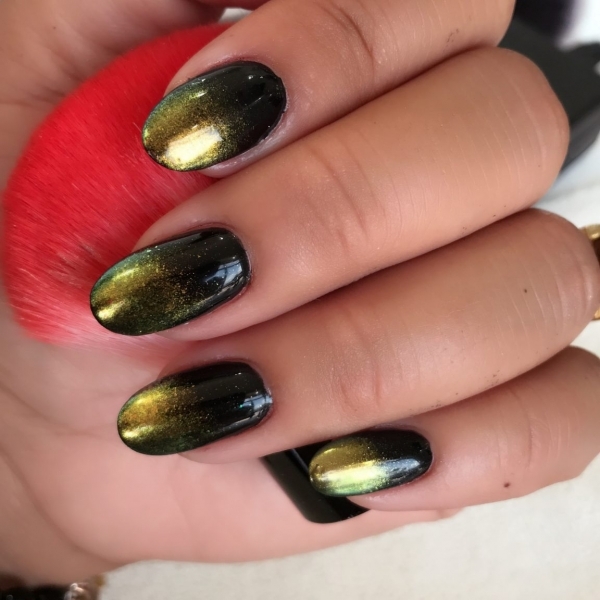 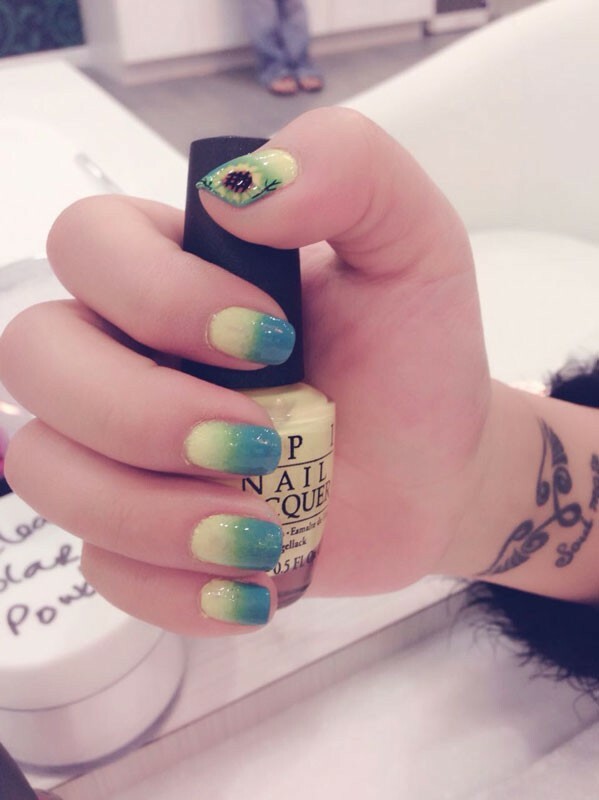 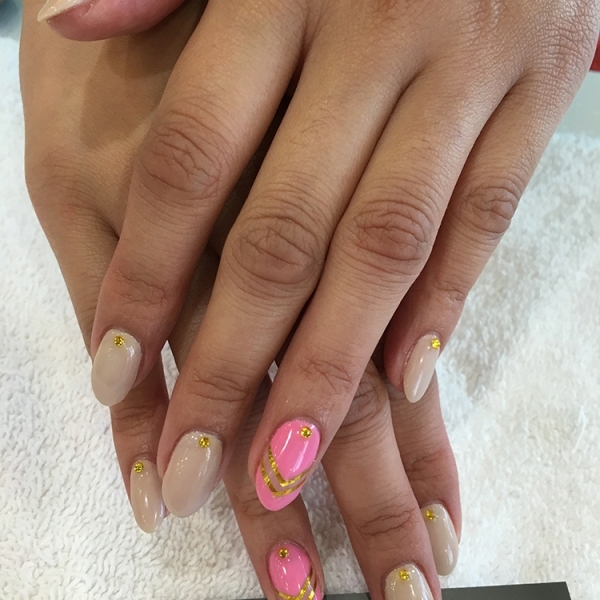 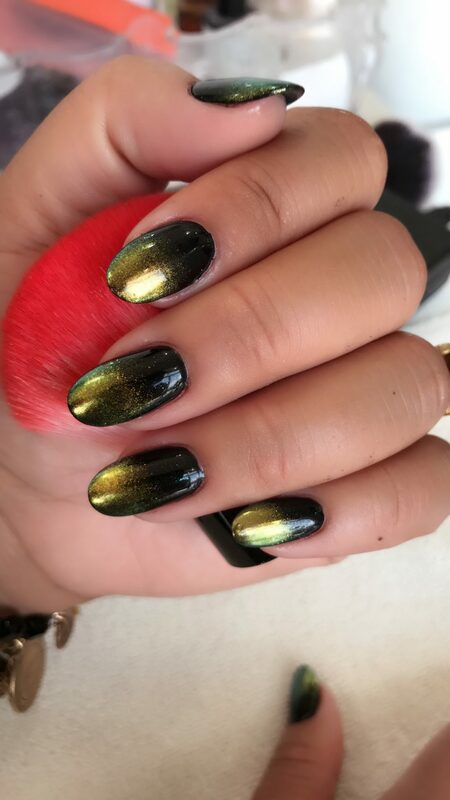 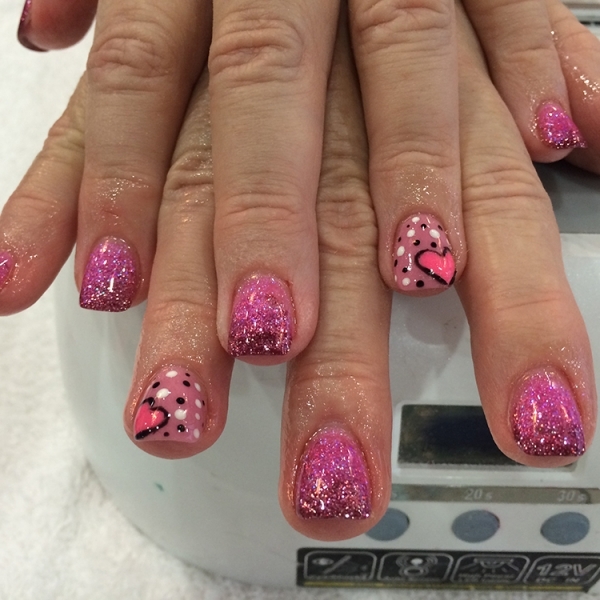 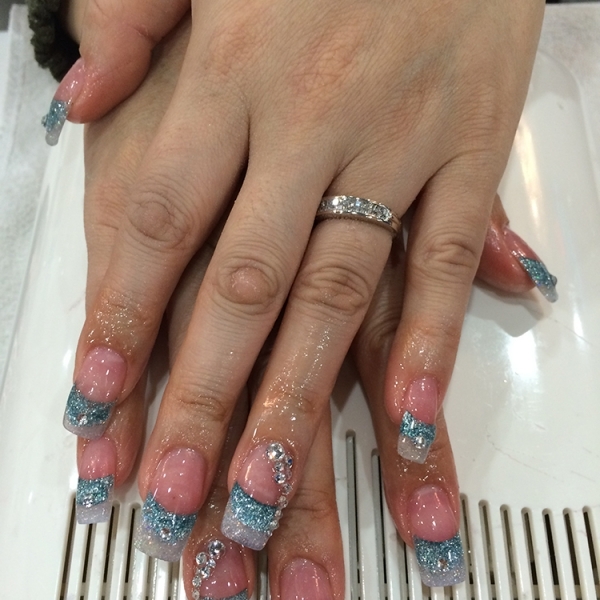 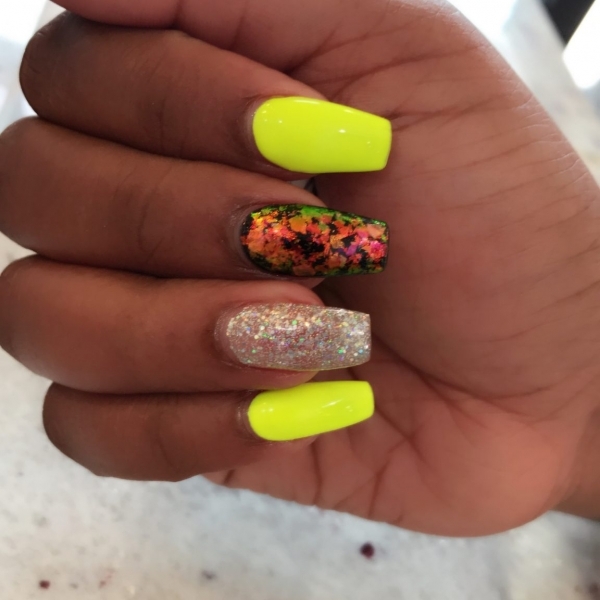 Our technicians are skilled in the latest nail designs and styles. 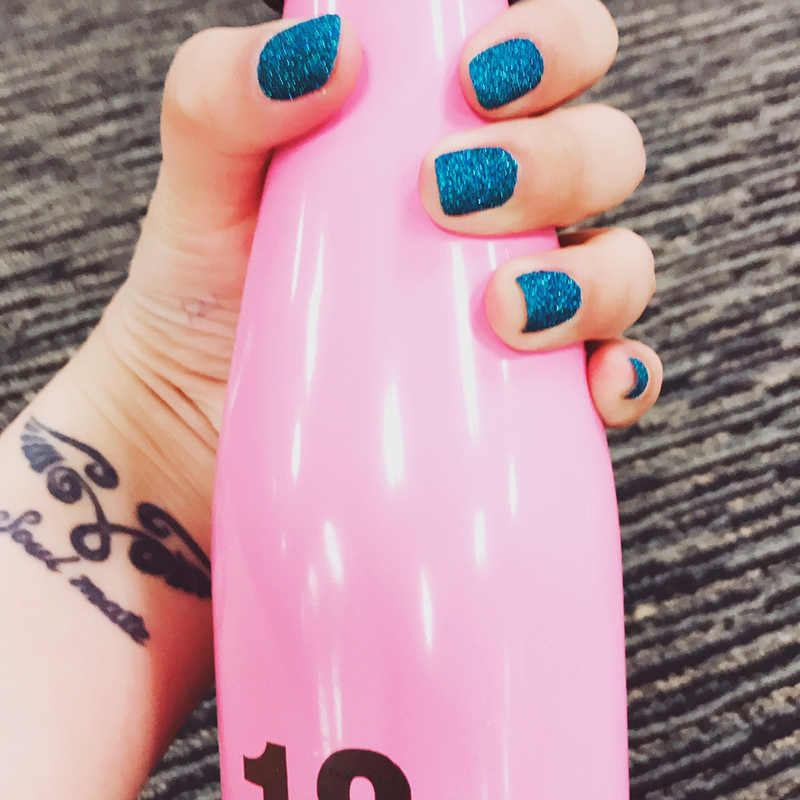 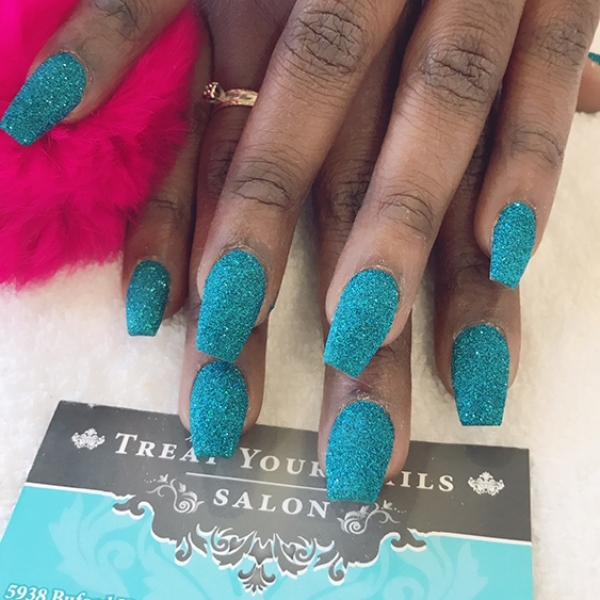 There are over 300 nail polish colors to choose from and another 200 gel nail polish colors available of the season’s best colors from China Glaze, Kiara Skye, OPI to Essie. 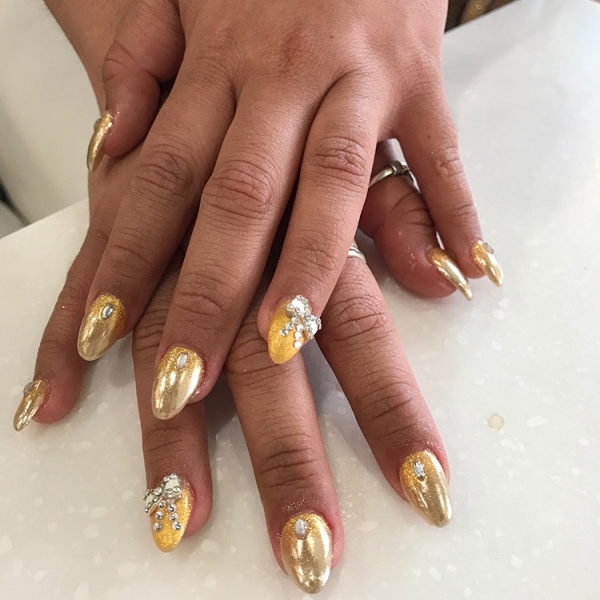 We offer personal consultation to design an unique look for you or bring in your own design and we’ll bring it to life. 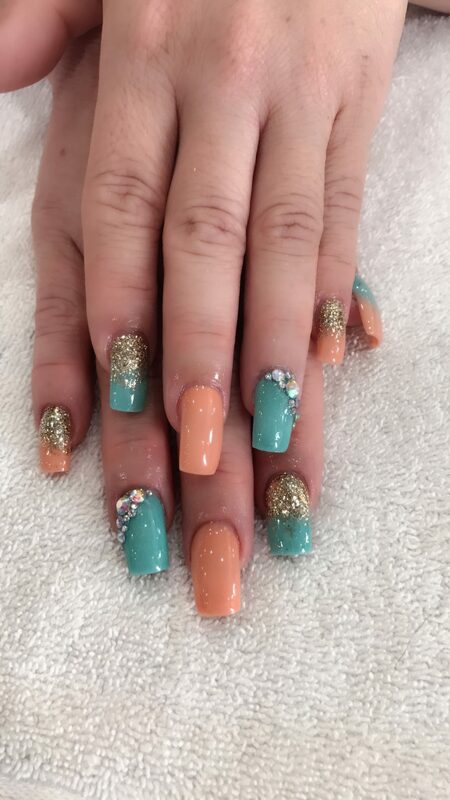 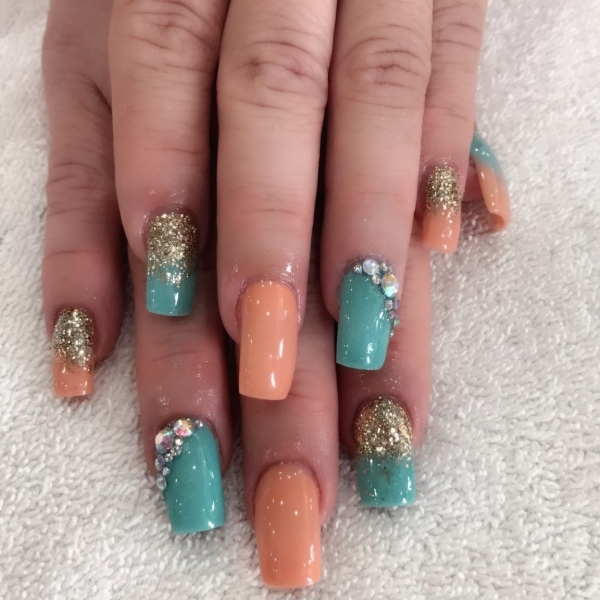 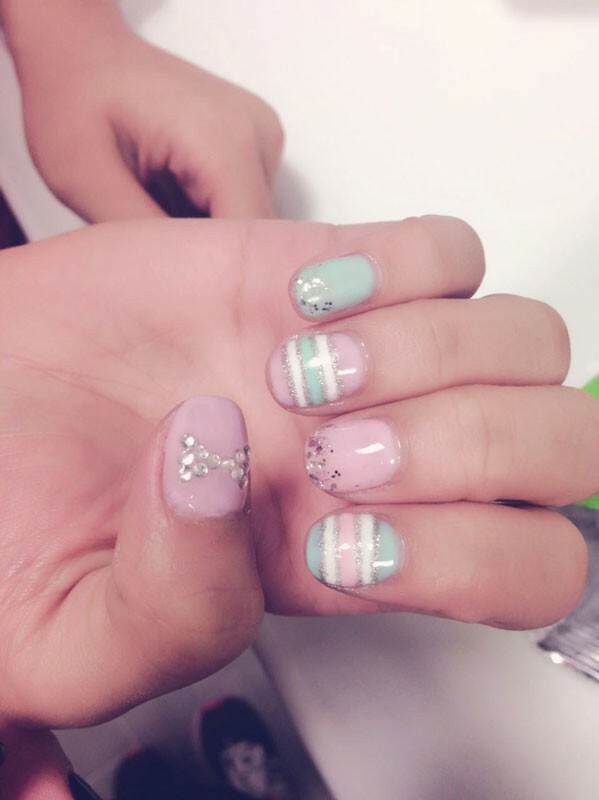 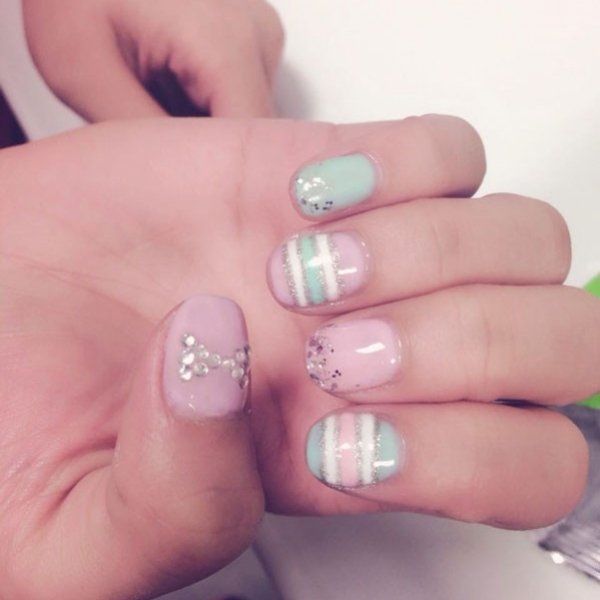 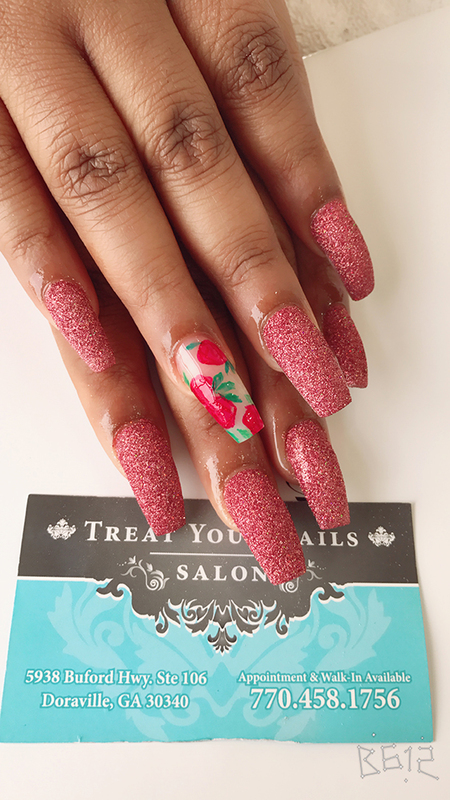 We are excited to make your nail dreams come true. 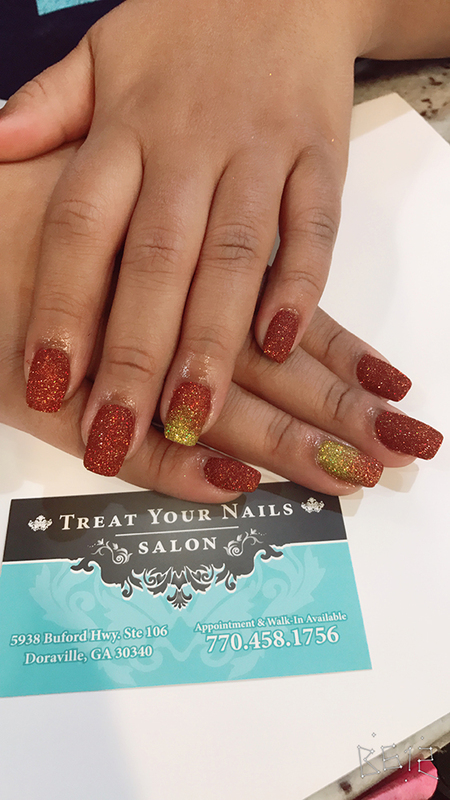 Let your hands relax as they are soaked in heated mittens, followed by trimming and shaping of the nails and cuticles, a moisturizing hand massage, and color polish of your choice. 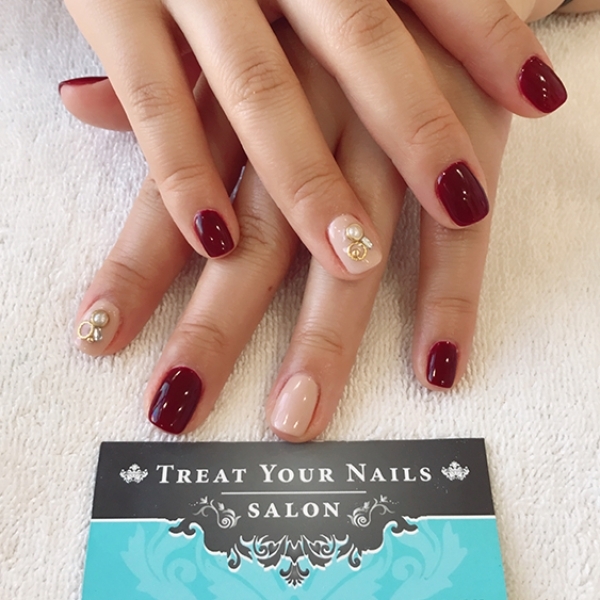 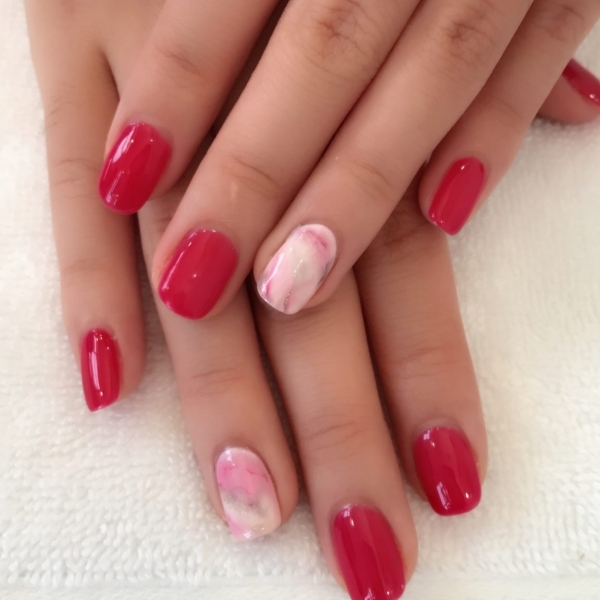 The Signature Manicure (25 min) – $18 Enjoy your free time with this service that includes soaking of the hands in heated mittens, trimming and shaping of the nails and cuticles, a gentle exfoliating scrub, warm towel wrap, a moisturizing lotion massage, and color polish of your choice. 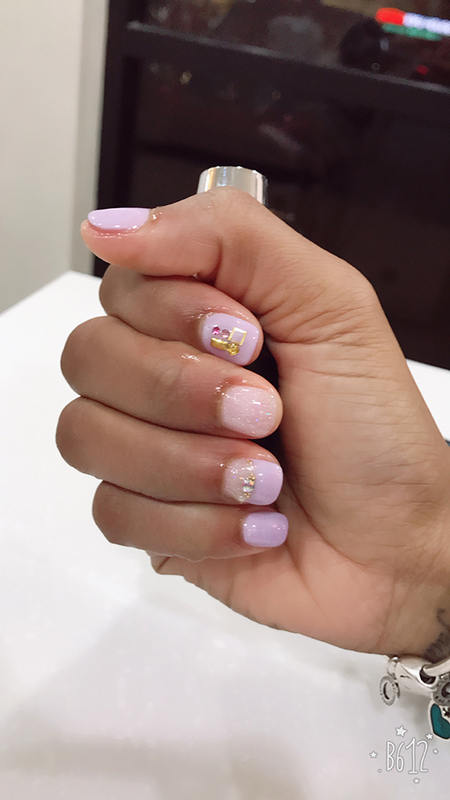 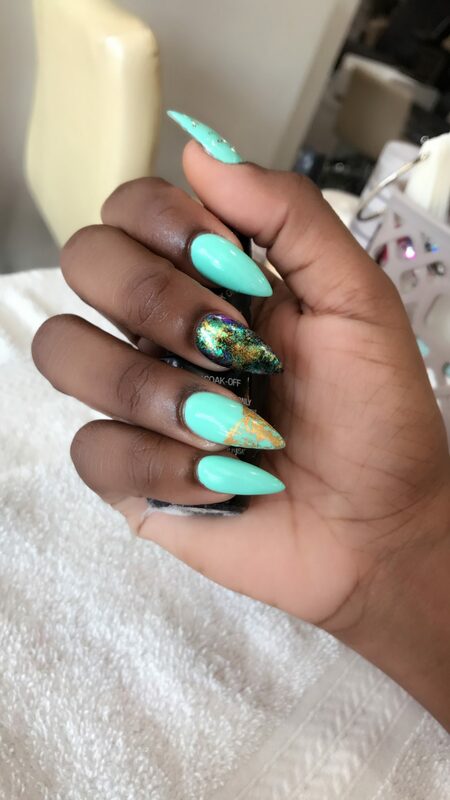 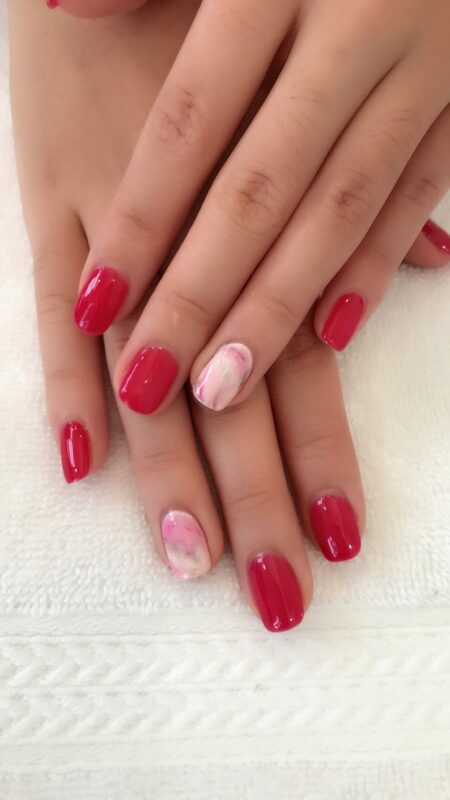 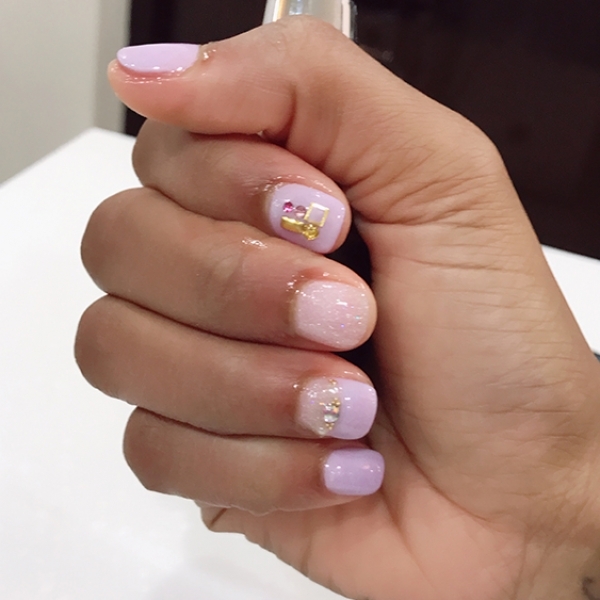 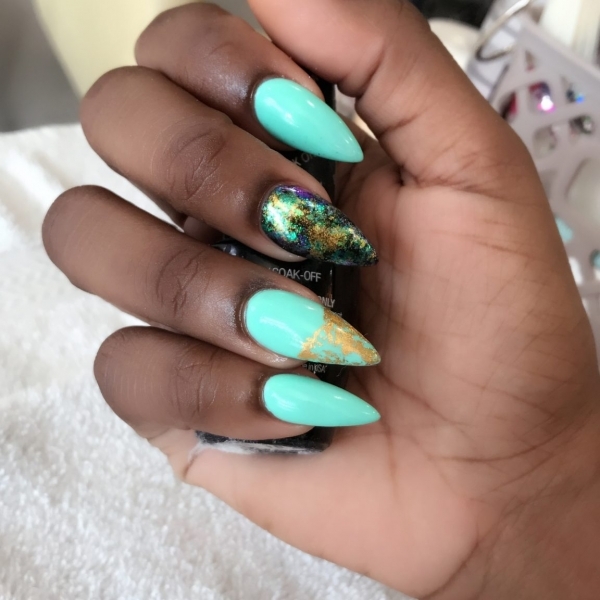 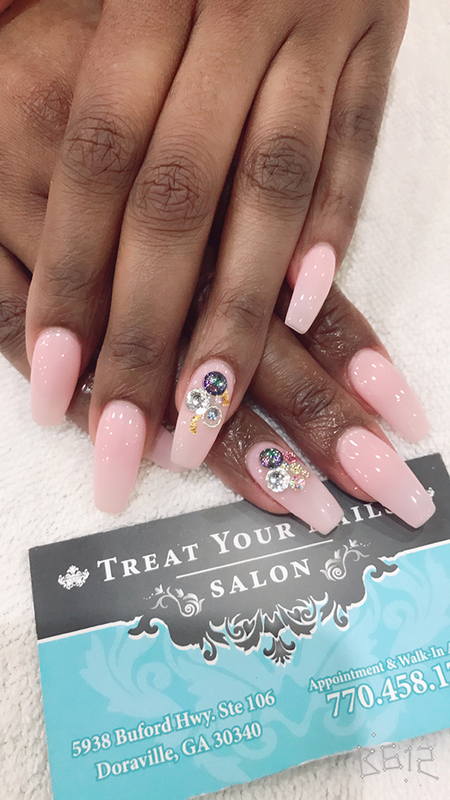 This is the Signature Manicure with an additional paraffin treatment (therapeutic wax that softens and moisturizes your hands), followed by a hand massage with the finest lotion and polish of your choice. 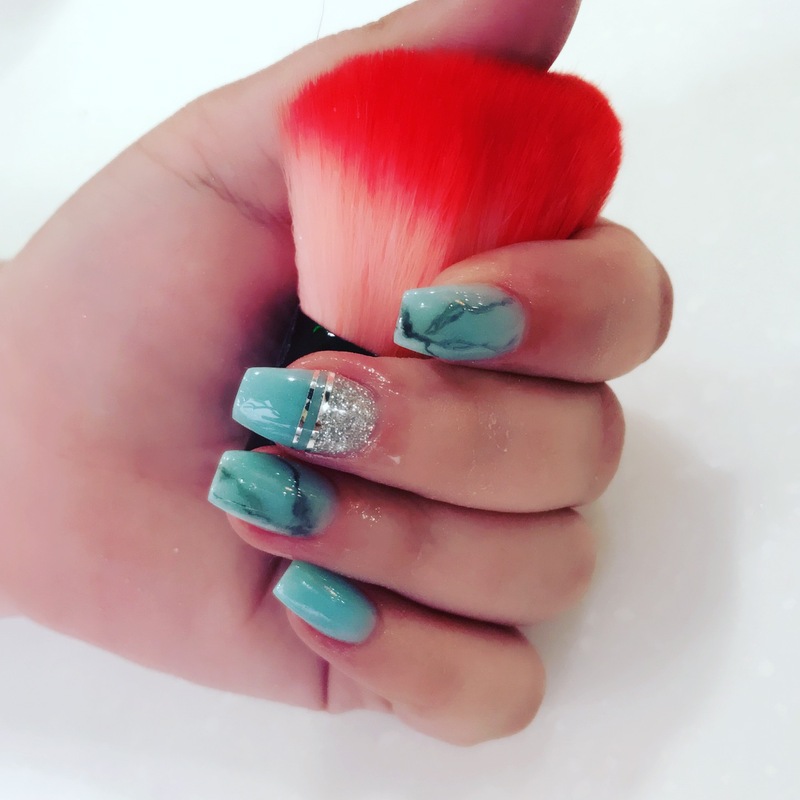 Indulge in this relaxing manicure which includes shaping and conditioning of the nails and cuticles, a moisturizing sea salt massage with warm towel wrap, a hydrating dip in therapeutic paraffin wax, and a soothing hot stone massage with softly scented lotion. 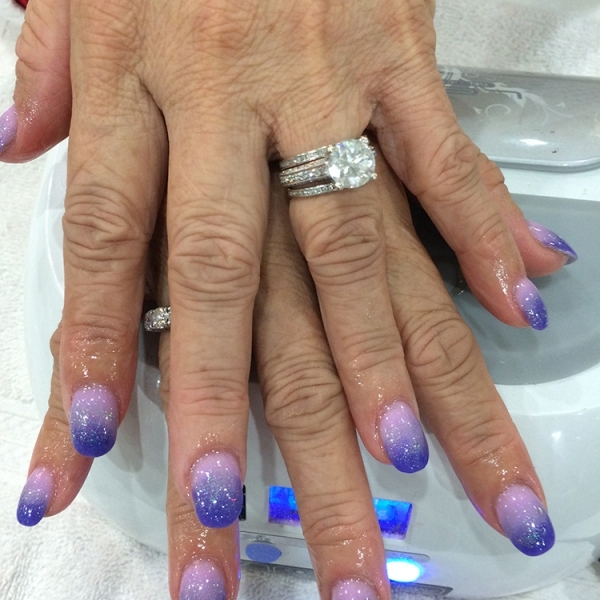 This manicure is great for clients with poor circulation and arthritis pain. 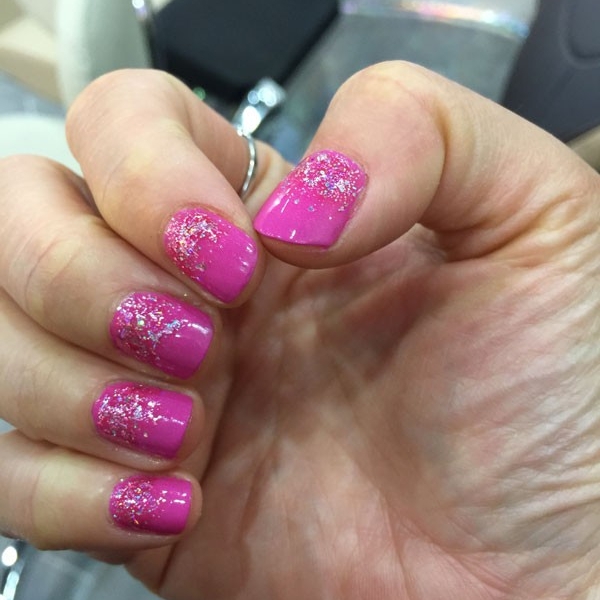 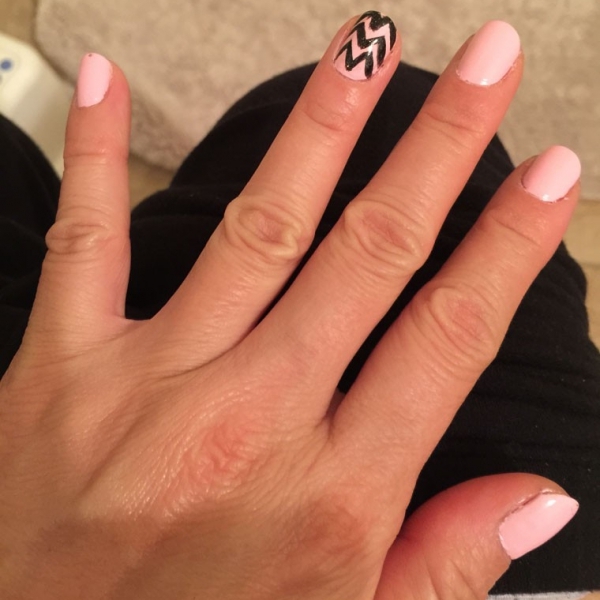 A revolutionary no-chip manicure that last more than 2 weeks. 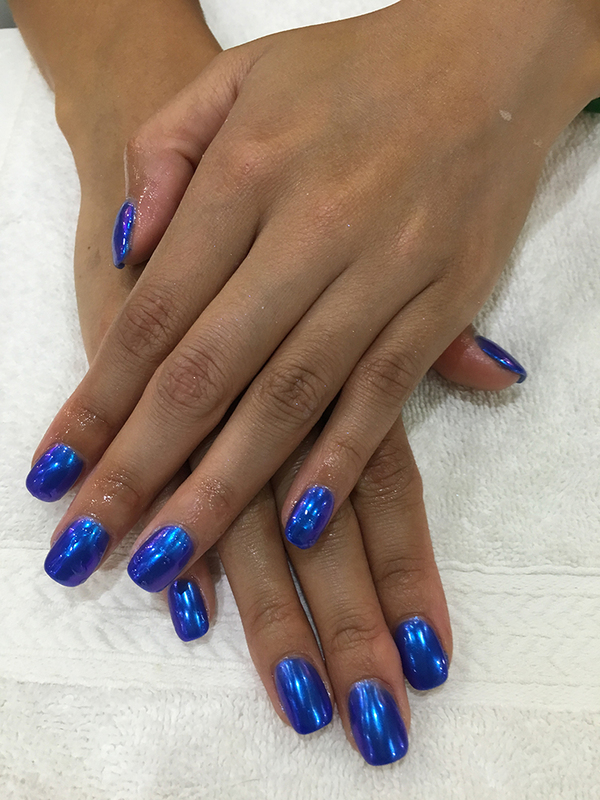 The gel polish dries instantly and provides a strong nail protection with lasting shine. 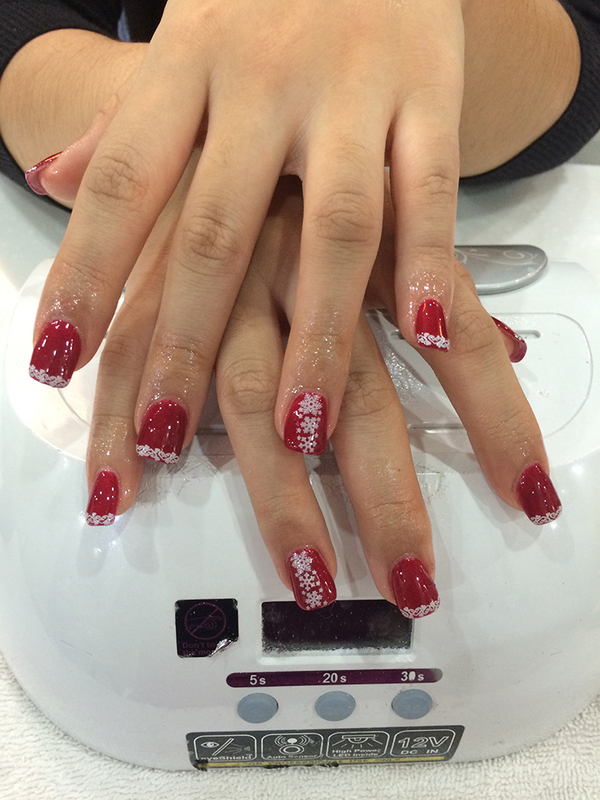 Finish with a 5-minute hand massage. 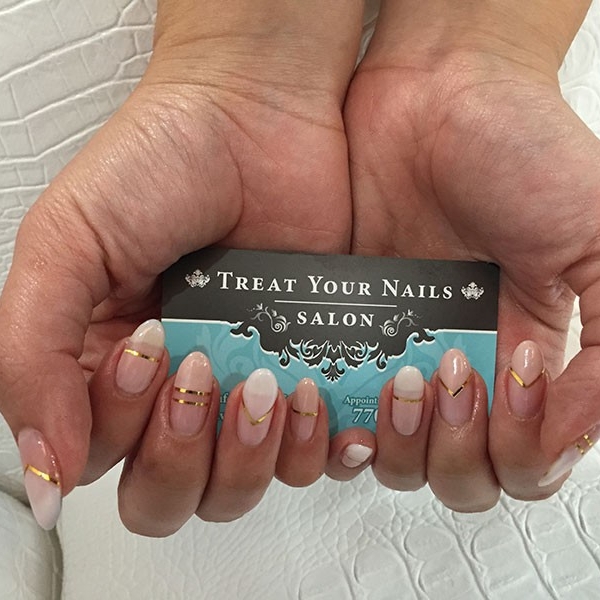 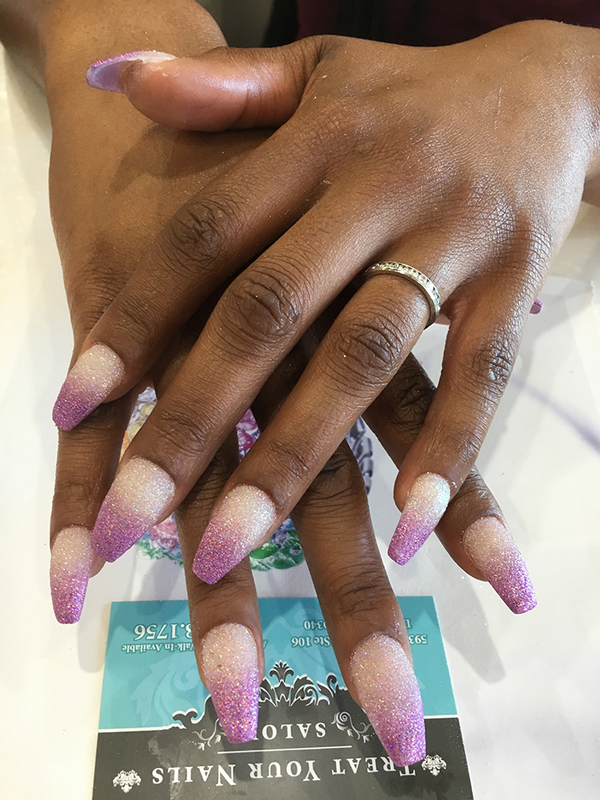 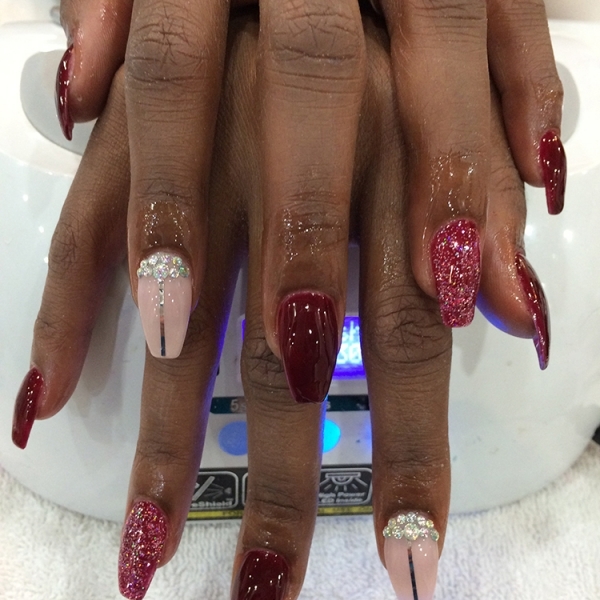 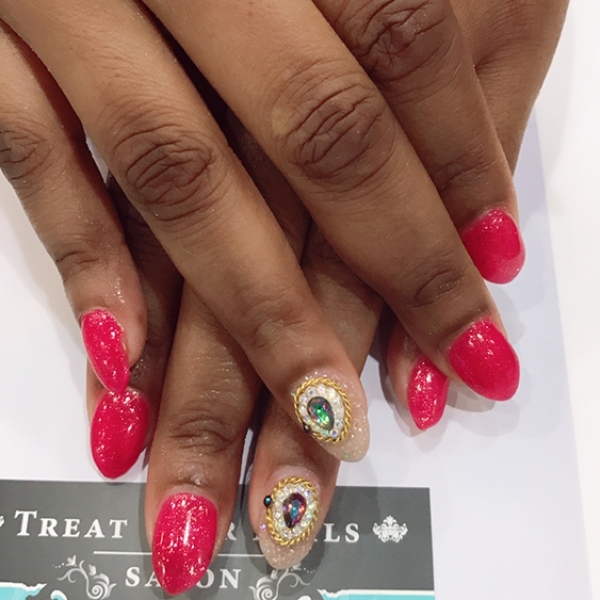 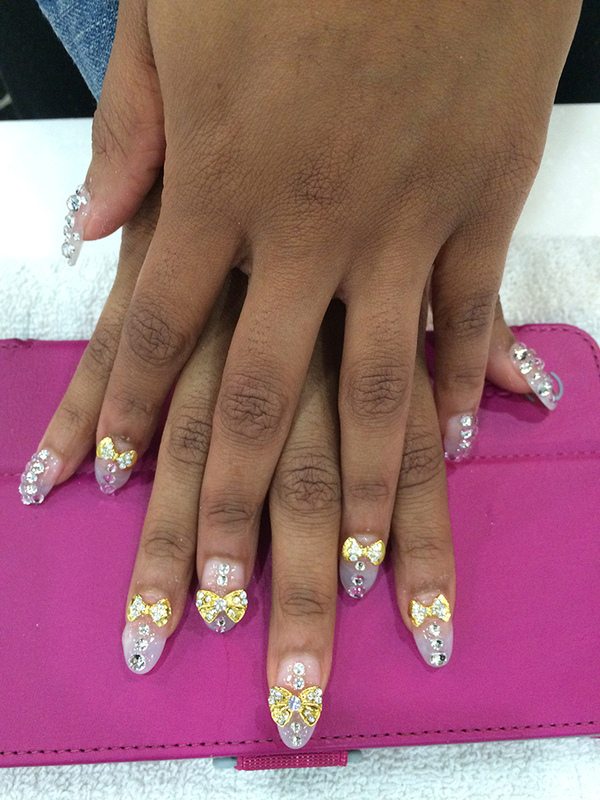 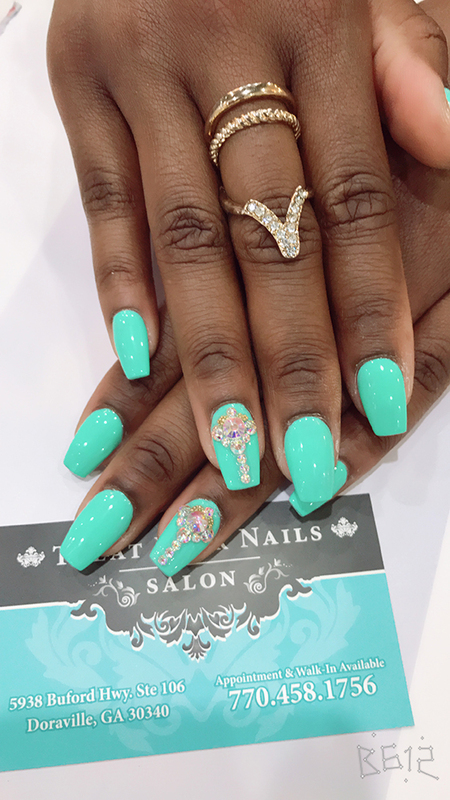 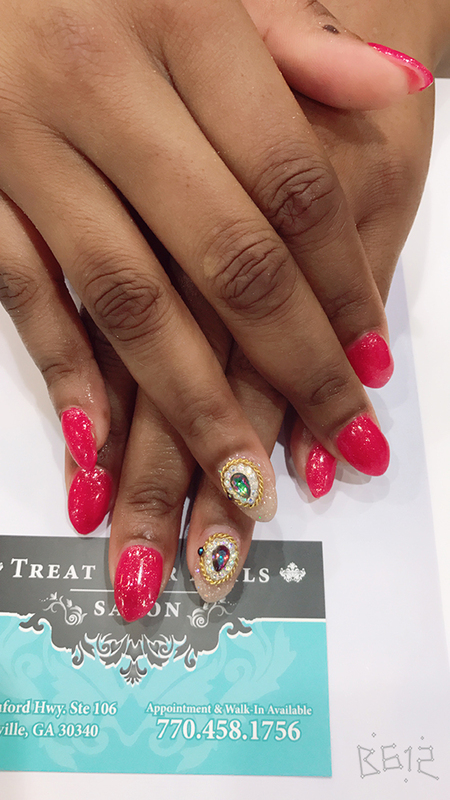 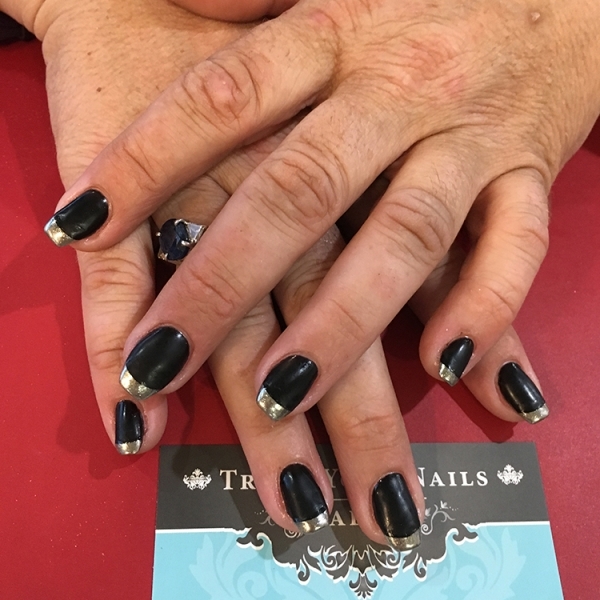 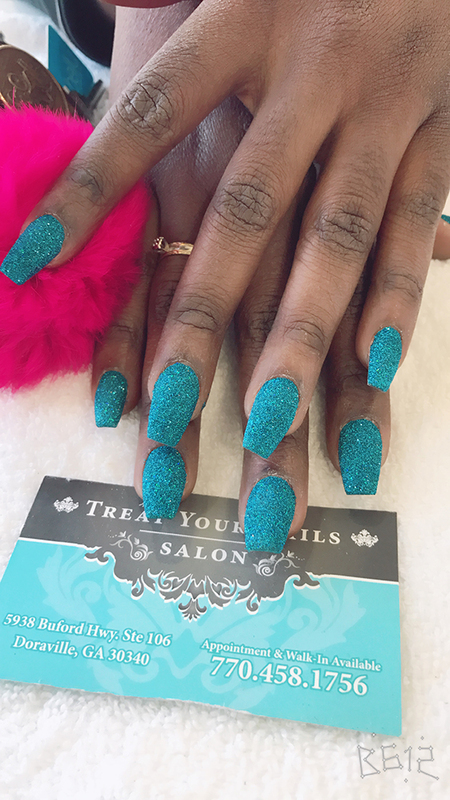 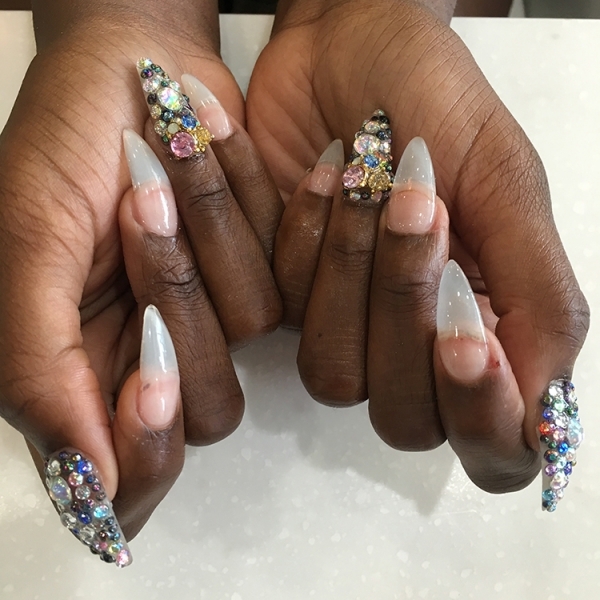 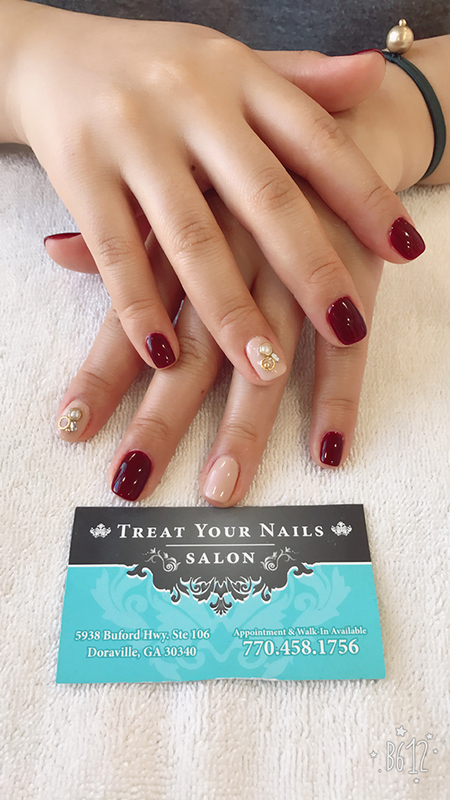 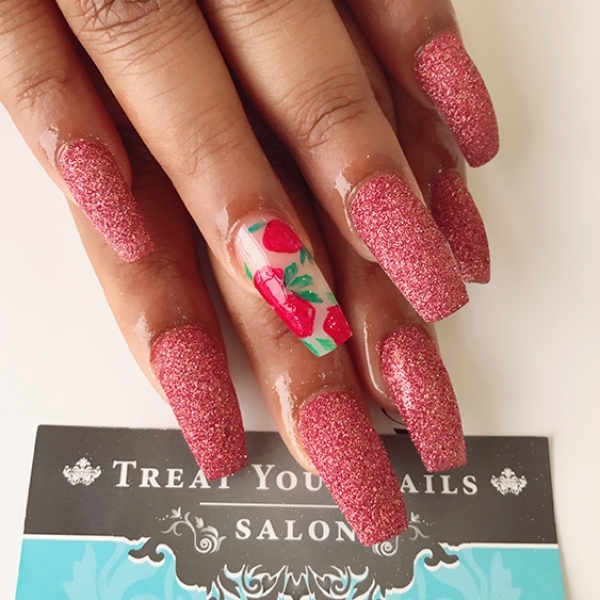 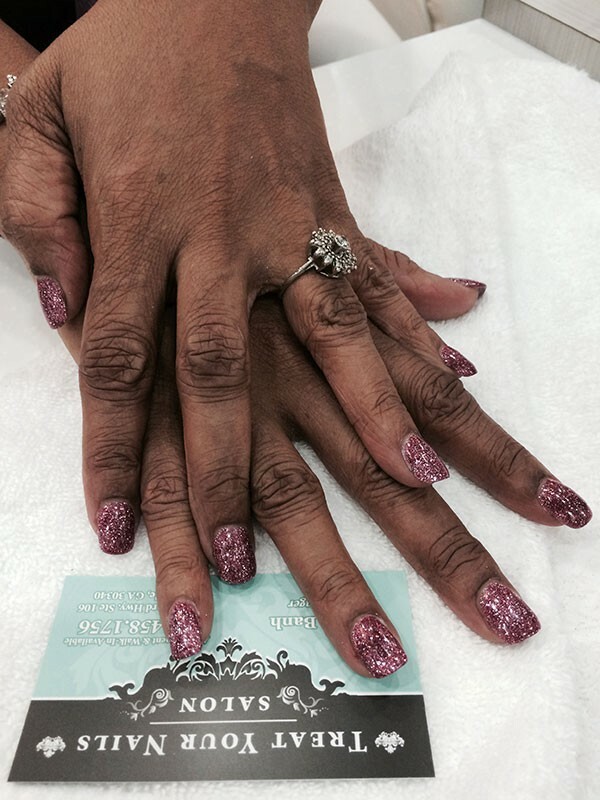 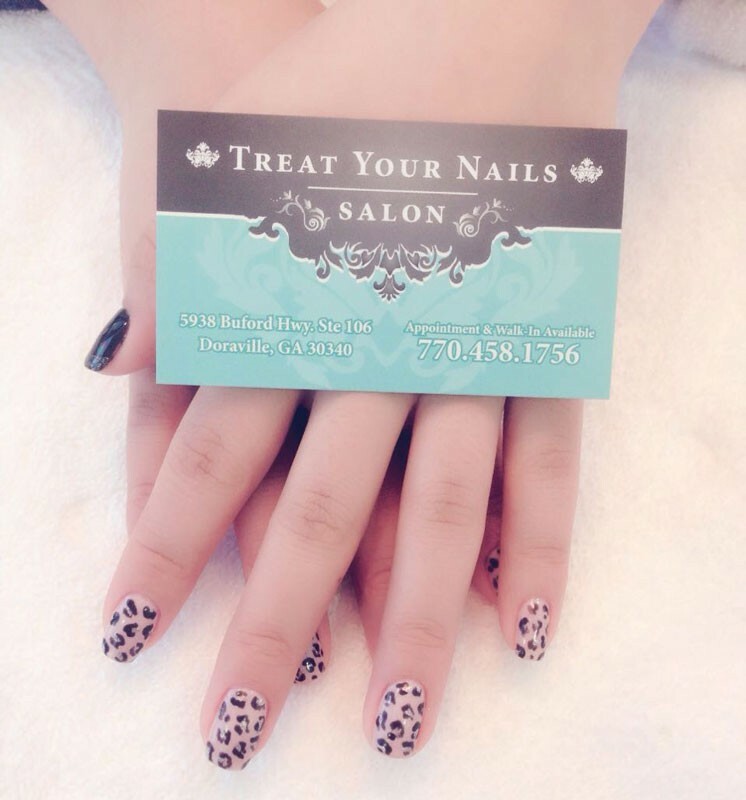 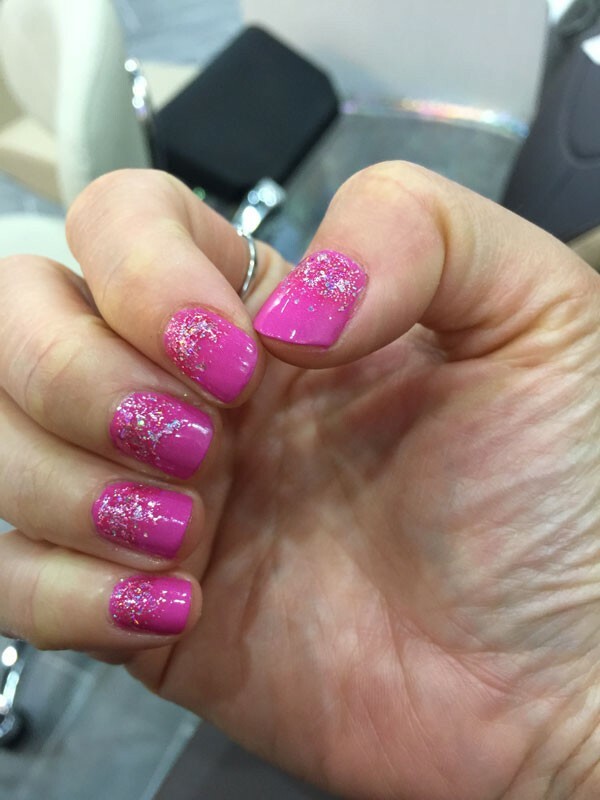 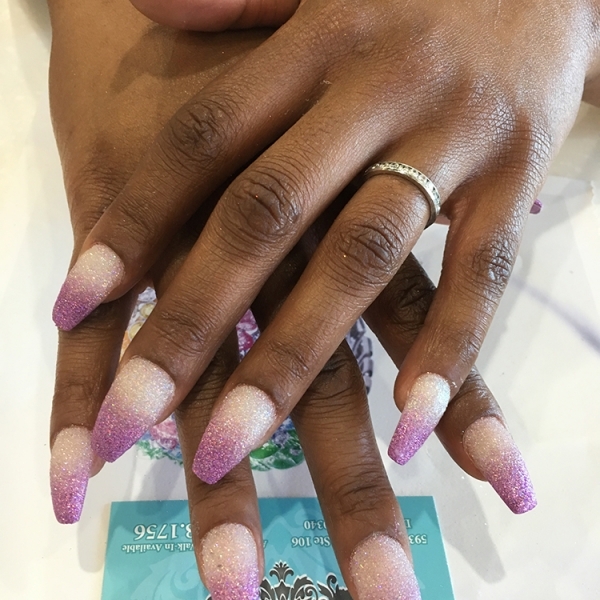 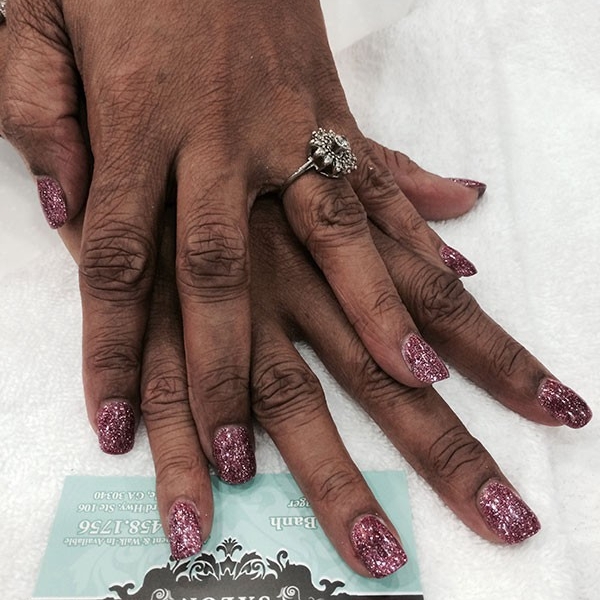 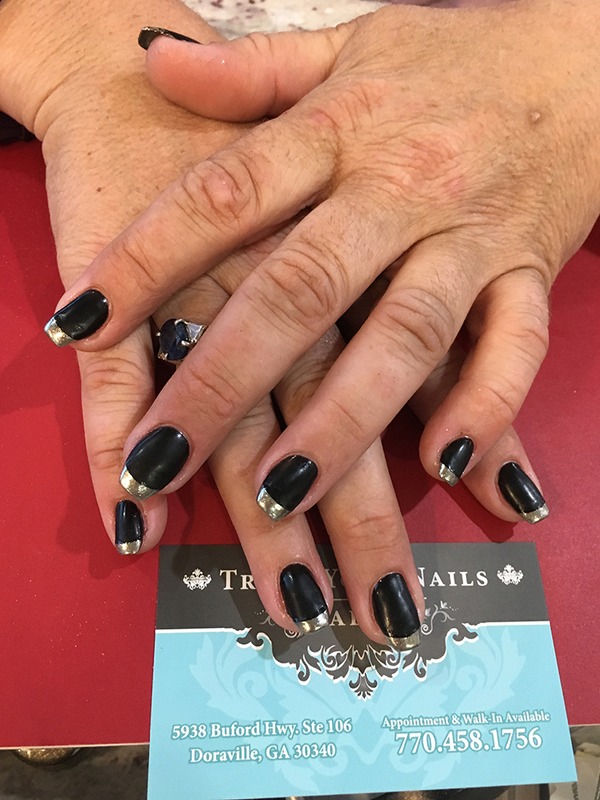 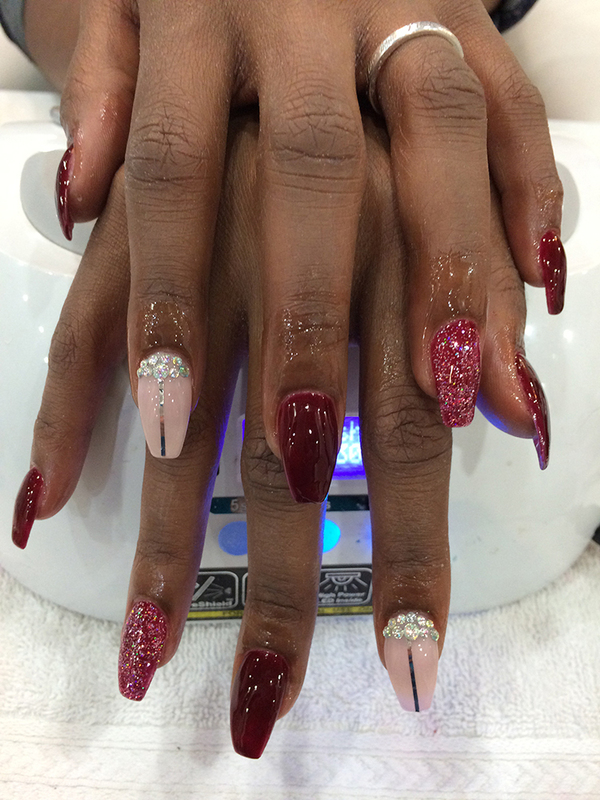 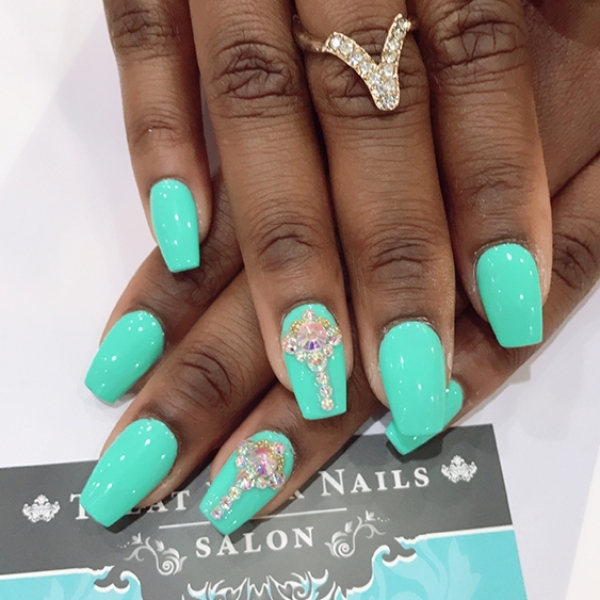 Treat Your Nails is located in just outside the perimeter in Doraville, and we serve the Metro Atlanta area. 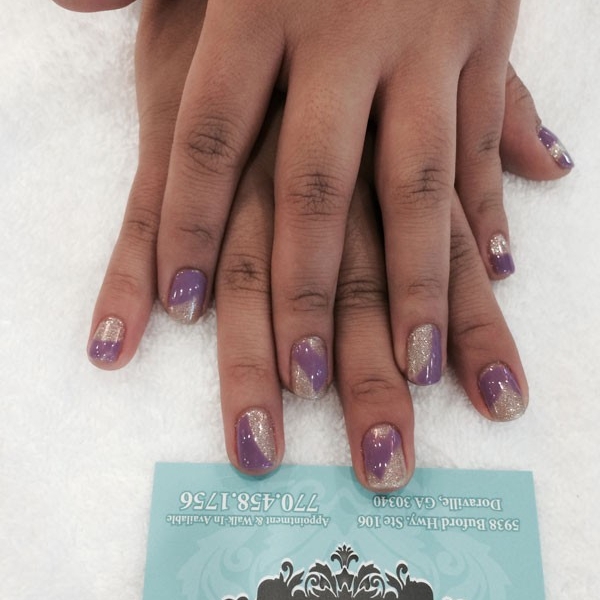 You are never too young to be pampered! 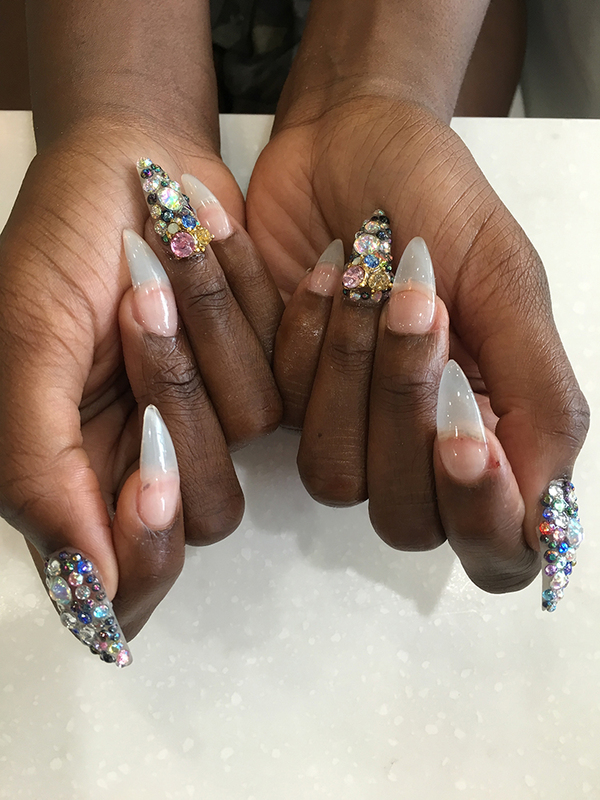 Prices are subject to change without notice depending on add-on services and level of difficulty. 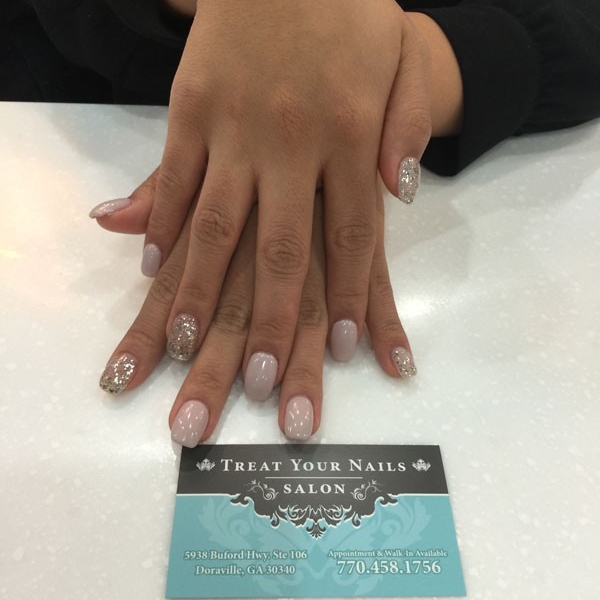 Birthdays - Let your friends and family indulge and get pampered by our nail salon staff with a manicure or pedicure. 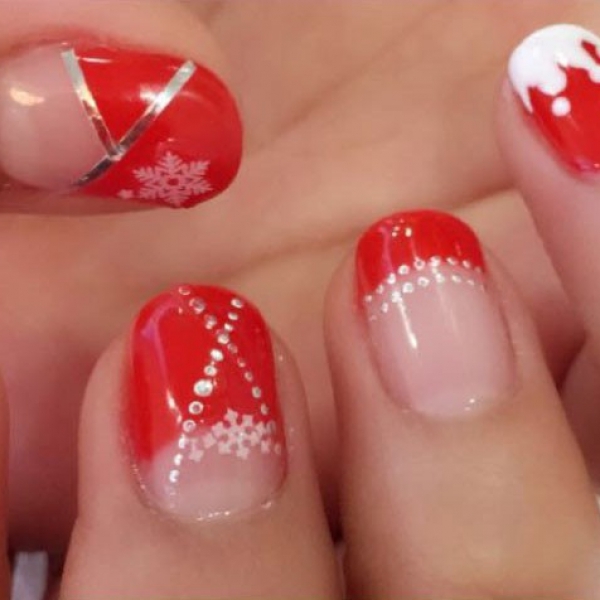 Holidays - A manicure or pedicure really is an excellent gift to give. 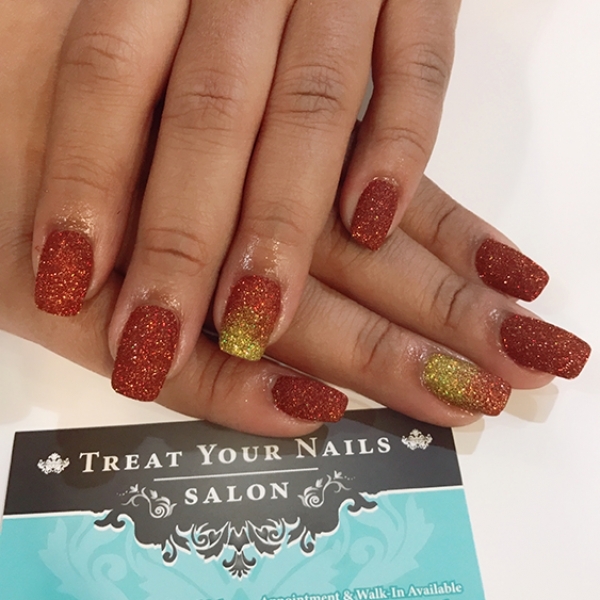 Surprise your friends and family with a unique treat! 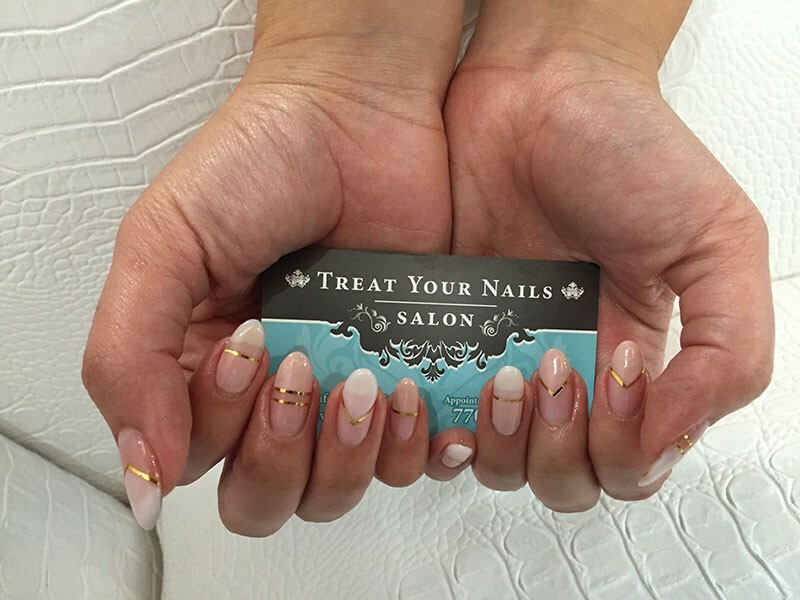 Thank You's - Say thank you with a memorable experience anyone is sure to love. 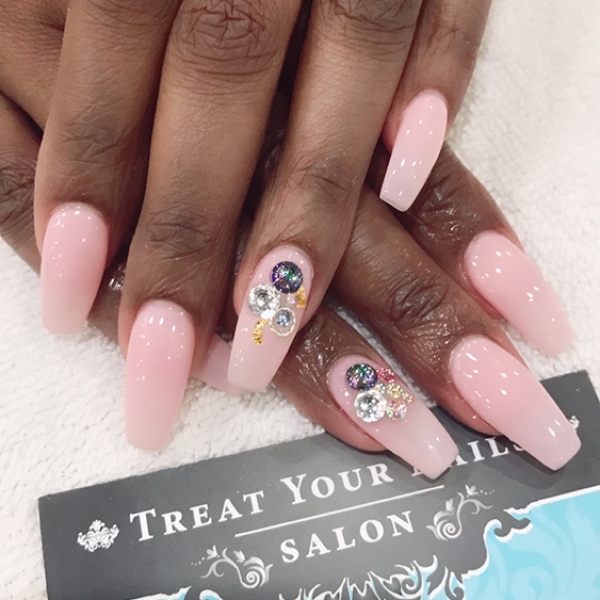 Although a majority of our customers have come from Doraville and neighboring cities such as Atlanta, Dunwoody, Decatur, Brookhaven, and Norcross, we have had quite a few visitors make the drive from other cities such as Smyrna, Kennesaw, and Stone Mountain.